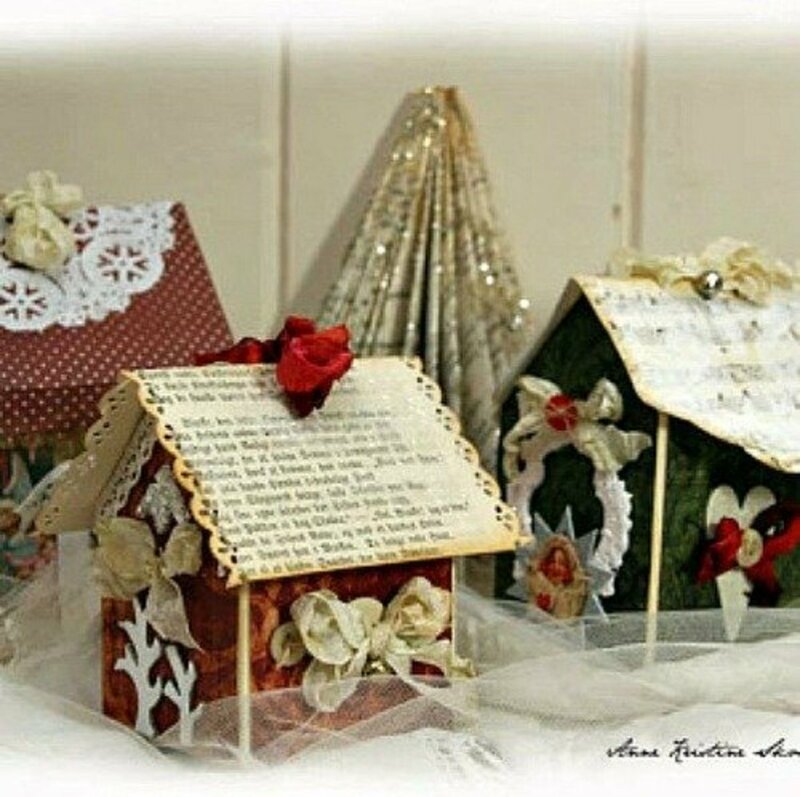 Although the rustic style of crafts includes items that are used all year round, at Christmas time the rustic style finds its way into many homes, no matter what their decor style. 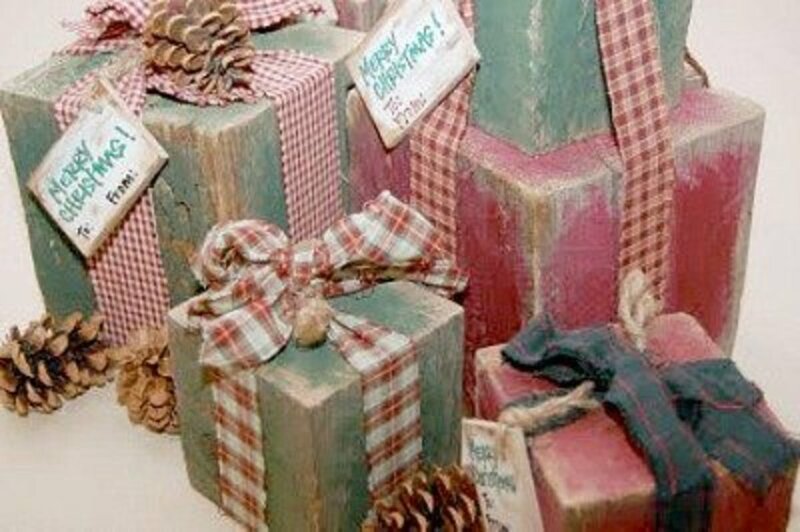 I think the reason for this is that the rustic Christmas style reminds us of tradition and the value of heirlooms. Rustic, primitive and shabby chic items look like they've been around for many years and are loved and valued by the family. 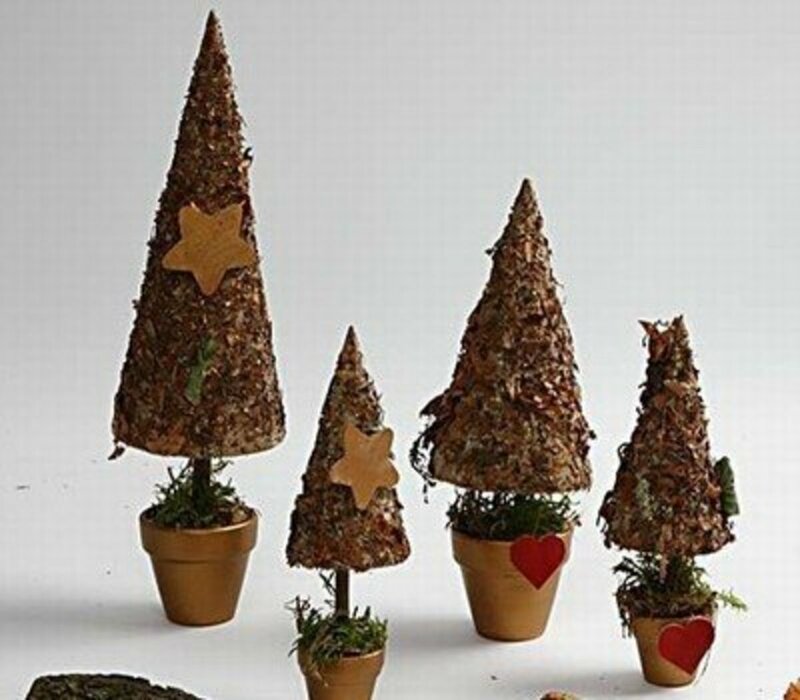 You'll find the tutorial for making the beautiful rustic Christmas trees shown above at Uncommon Designs. 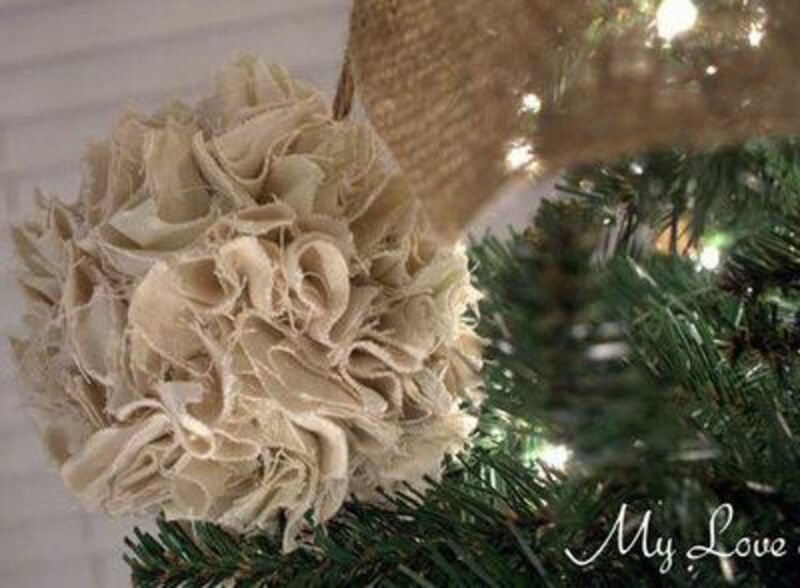 Cut squares of muslin fabric, muslin is very inexpensive, to make these rustic pom poms for ornaments. Glue the folded and twisted squares onto Dollar Store ball ornaments and you have beautiful pom poms for your own Christmas decor, or to give as gifts. 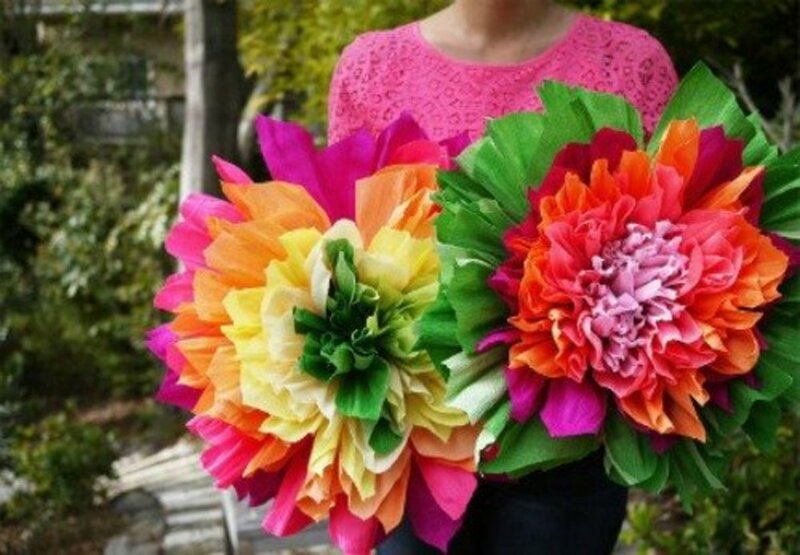 You'll find the tutorial for making these pom poms at My Love of Style. This is a perfect piece of rustic themed Christmas art to display on your wall or mantel. 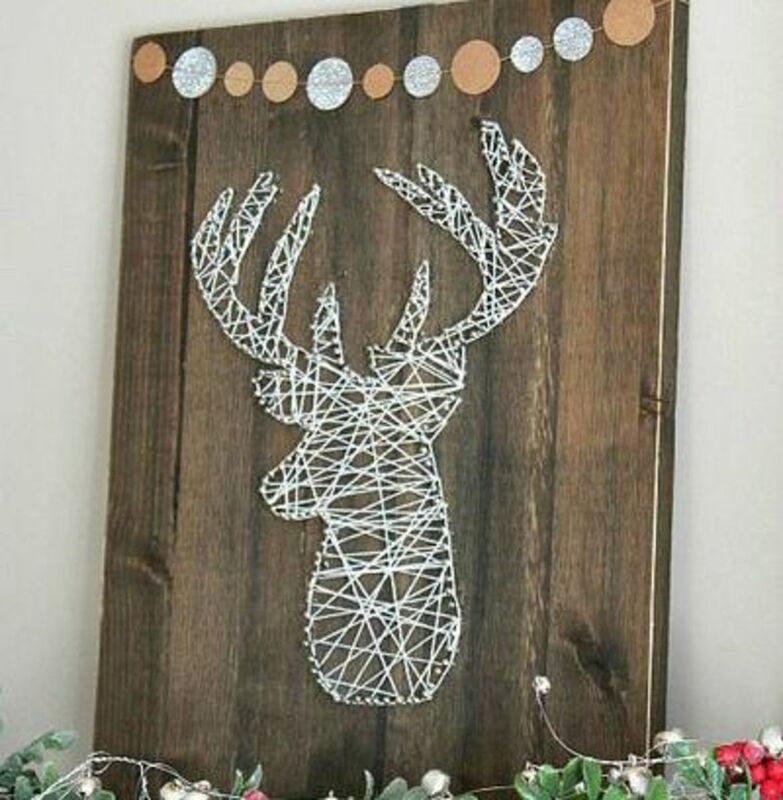 It is a whole lot easier to make string art than it first appears. Check out the tutorial at Clean Scentsible and you'll see what I mean. You'll especially love this ornament if you prefer larger ornaments on your tree. Vintage prints are featured on a CD disc base and then trimmed. Very nice! The instructions for this project are found at Cottage Hill. 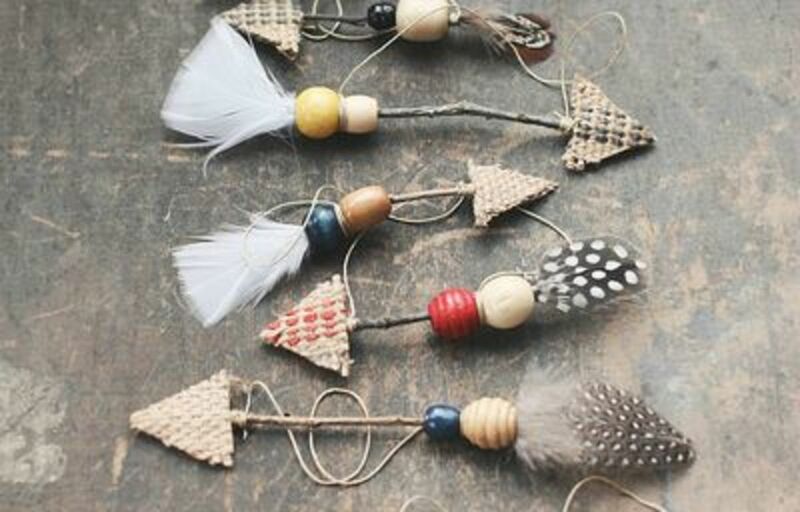 These twig arrow ornaments are a great Christmas tree decoration, but I have to admit that if I were still teaching elementary school art, or was a teacher teaching about Native American culture, I'd want to use this project in the classroom. 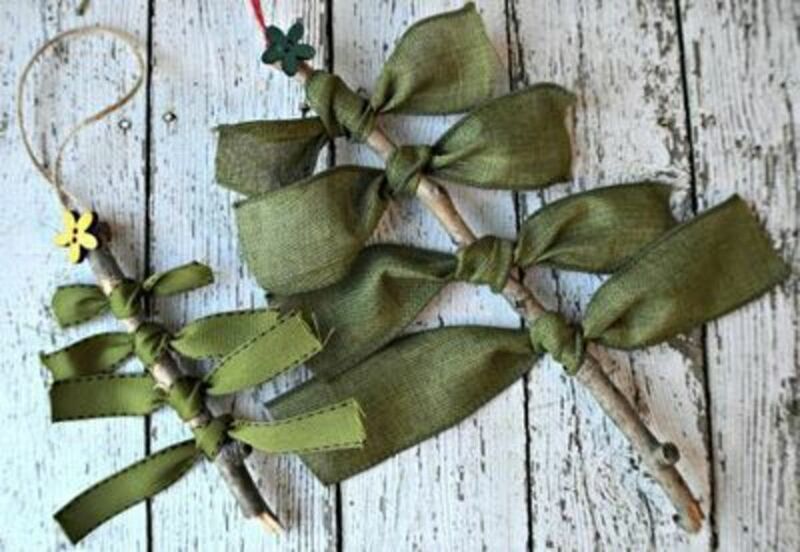 The tutorial for making these twig arrow ornaments is found at Yellow Bliss Road. If you believe that there is beauty in simplicity, than you're going to love these ribbon tree ornaments. What could be easier than this? Check the instructions at My Sweet Sanity to make ribbon tree ornaments. In this project, with a tutorial at Dream a Little Bigger, purchased birch bark sheets are used. Be sure to check out the tutorial at Life Over Easy because the pictures included are fabulous. The photo showing the lit candles is so beautiful. If you love birch, you'll love this project. So pretty and so rustic! 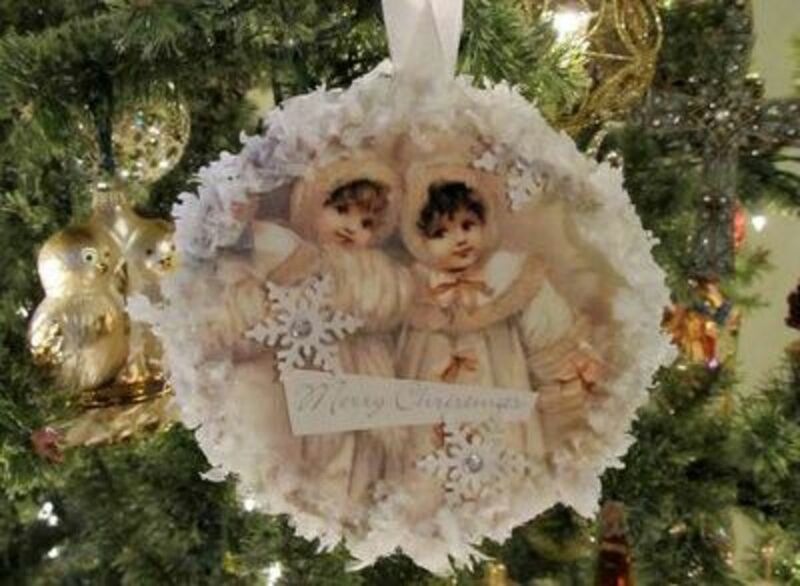 This is another ornament that could be given when you need an unique, but inexpensive gift for a Christmas exchange. 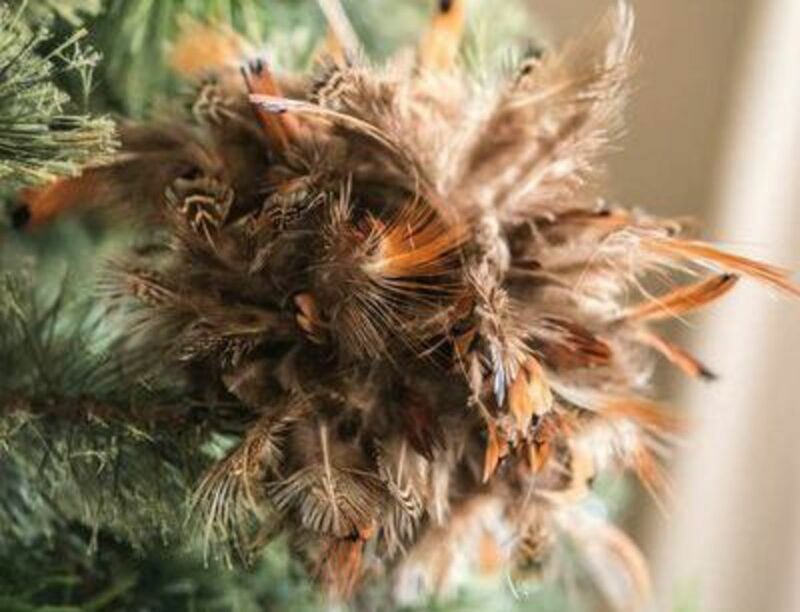 Find the instructions for making this fabulous feather ornie at Bigger Than the Three of Us. Don't you just love all the different sizes and shapes that grapevines come in? 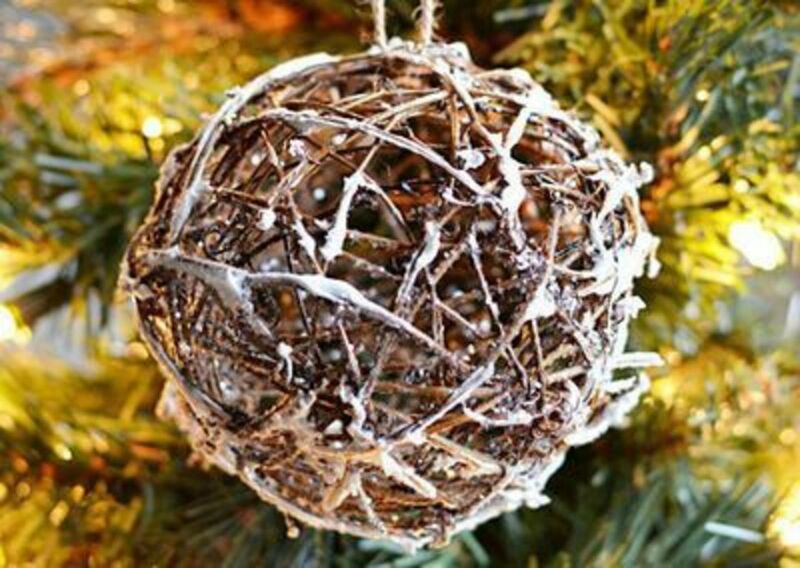 This rustic grapevine ball ornament is a great example. And just with a few additions, in this instance glitter snow, the ball is transformed into a beautiful tree ornament. 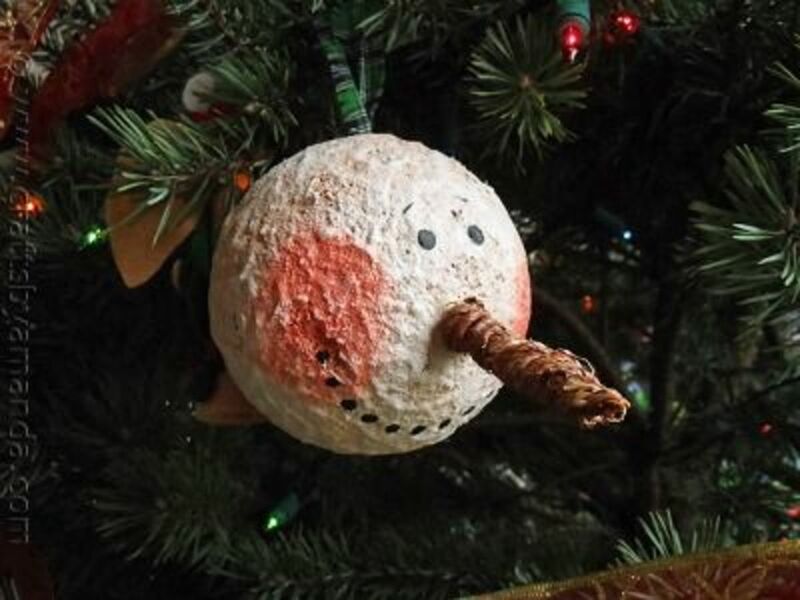 Find the tutorial for making this ornament at Crafts Unleashed. 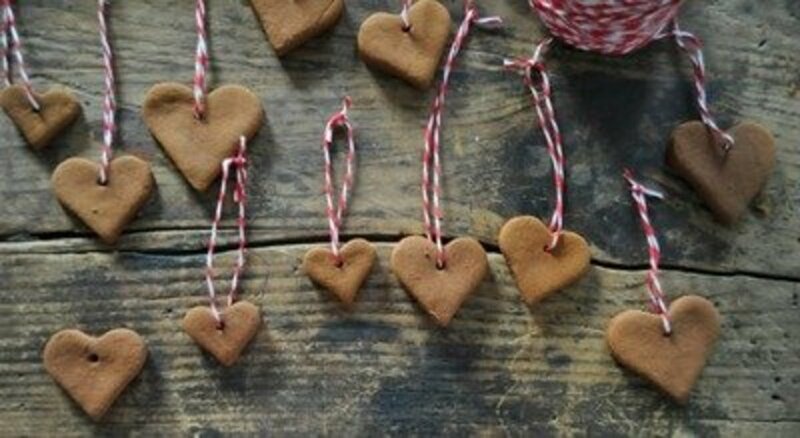 The combination of cinnamon and applesauce makes the aroma of these heart ornaments remind you of olden day Christmas'. You'll find the recipe and instructions for making these cinnamon/applesauce heart ornaments at Katy Elliott. The tutorial for making this simple and beautiful weathered star can be found at Lowes. This plaque is given a rustic look by using barnboard as the background. 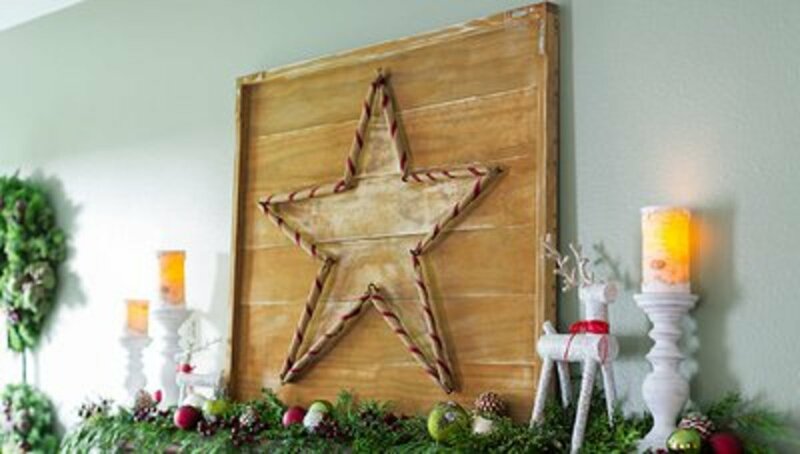 Go to Beyond The Picket Fence for the instructions on how to make this beautiful Christmas star plaque. 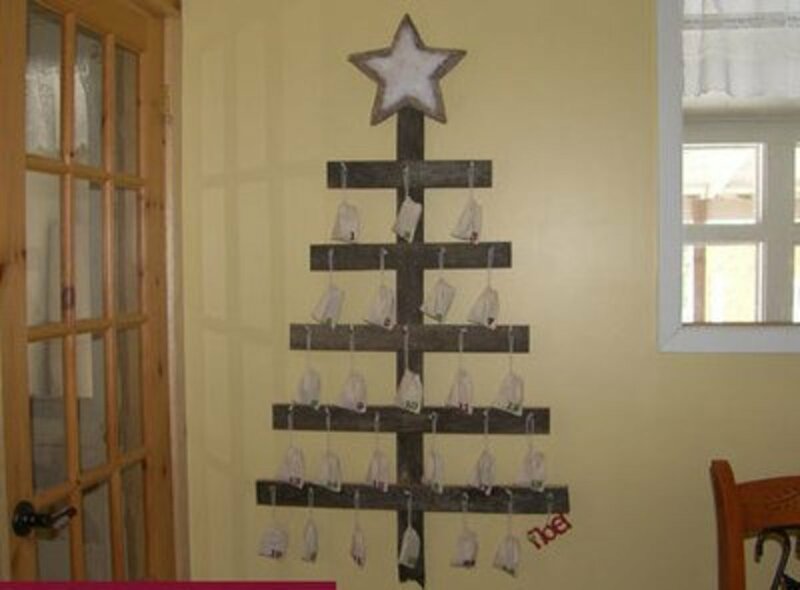 Use wood pallets or barn wood to make this rustic Christmas tree. The chevron design makes this a timeless decoration for your home. Find the tutorial for making this tree at Her Tool Belt. 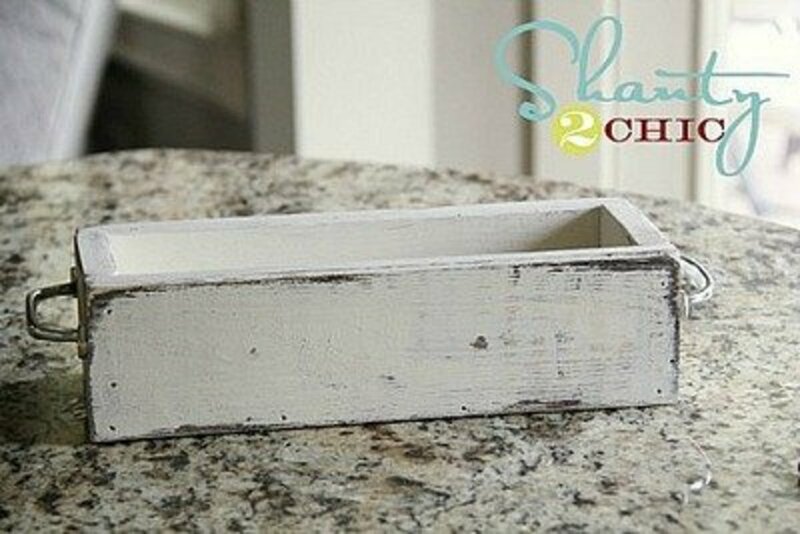 This site, Shanty 2 Chic, has a tutorial on how to distress paint wood using vaseline. Imagine Christmas balls, a bit of greenery and a string of Christmas lights in this rustic planter box. This is one super easy, super cute Christmas craft that has great directions at Or So She Says... There are so many ways to use these Christmas gifts, think arrangements for a centerpiece, on the mantle or as a centerpiece. Have you ever wondered what to do with old Christmas cards that were too pretty to throw away? 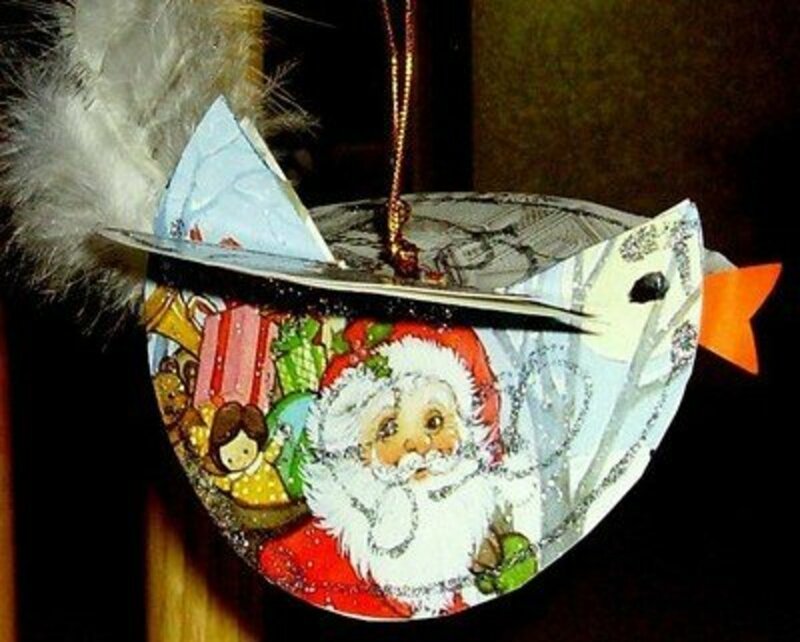 Now you can make these beautiful sparkling bird ornaments using Christmas cards that will become family treasures. Go to Kids & Glitter for the patterns and tutorial. 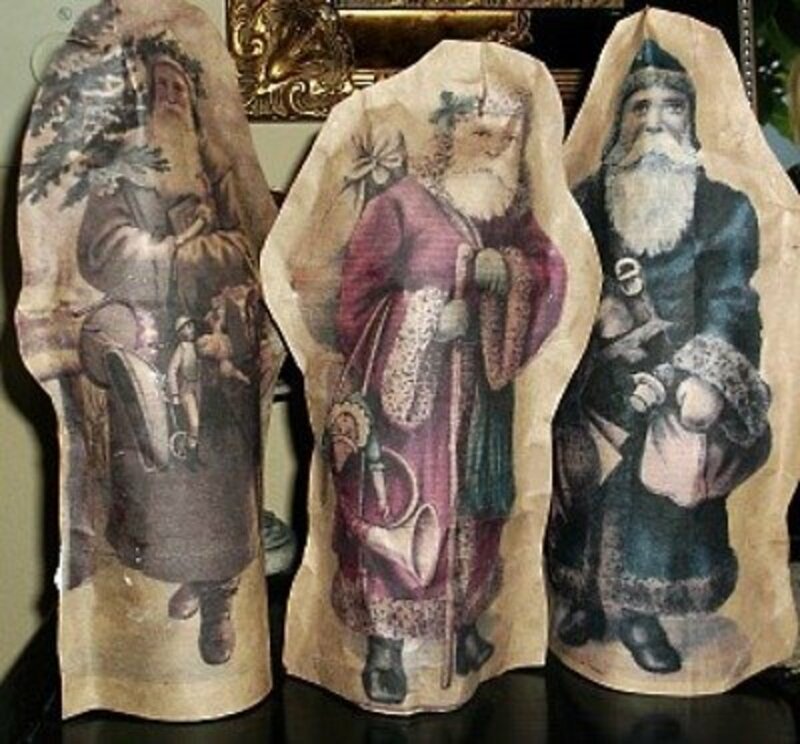 I love Old World Santas and have a collection of them, so I'm always looking for unique, old world or vintage Santas to craft. 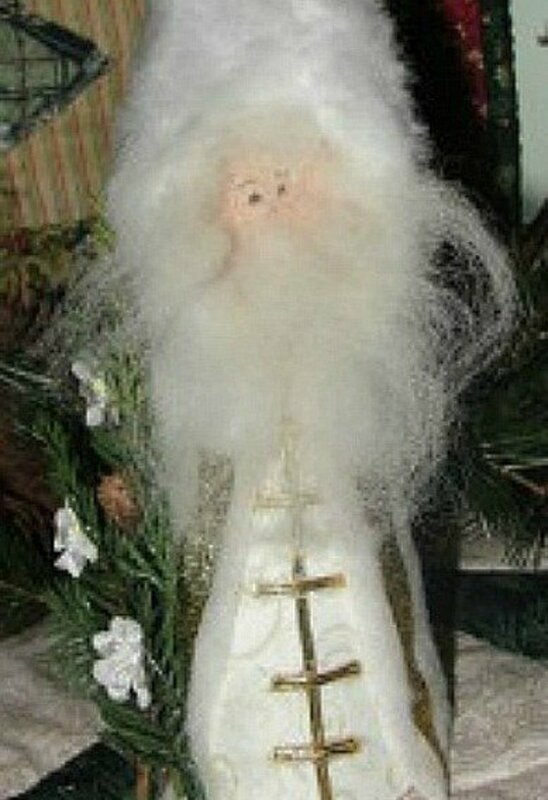 You'll find the tutorial for making these vintage santas, using brown grocery bag paper, at Kids & Glitter. 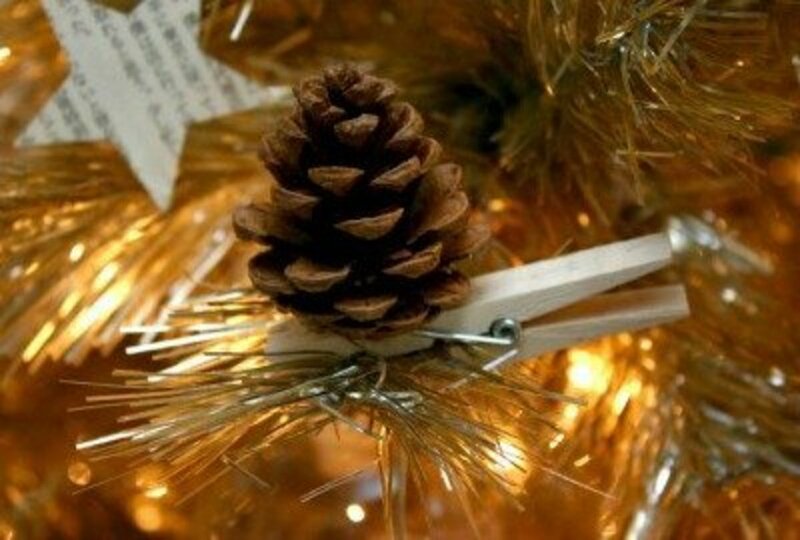 Imagine how great these pine cone clip ornaments will look on your burlap garland strung Christmas tree. 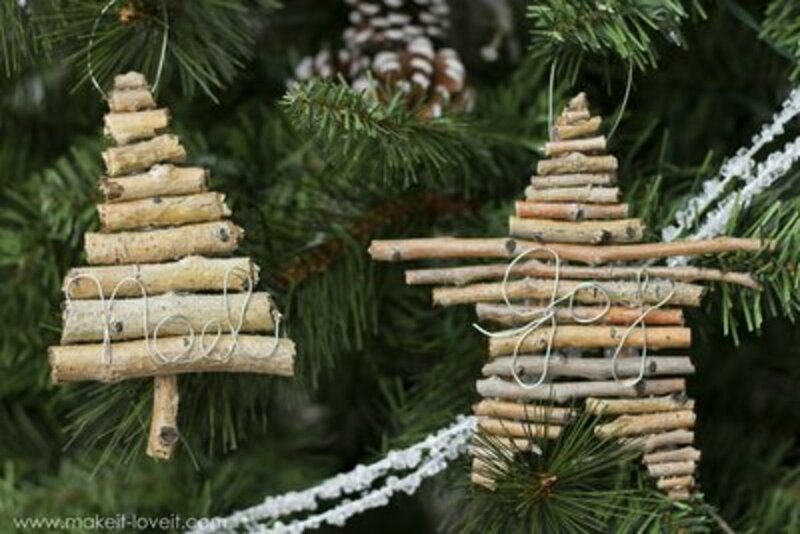 The instructions for making these pine come clip ornaments can be found at Family Chic. A beautifully rustic look. 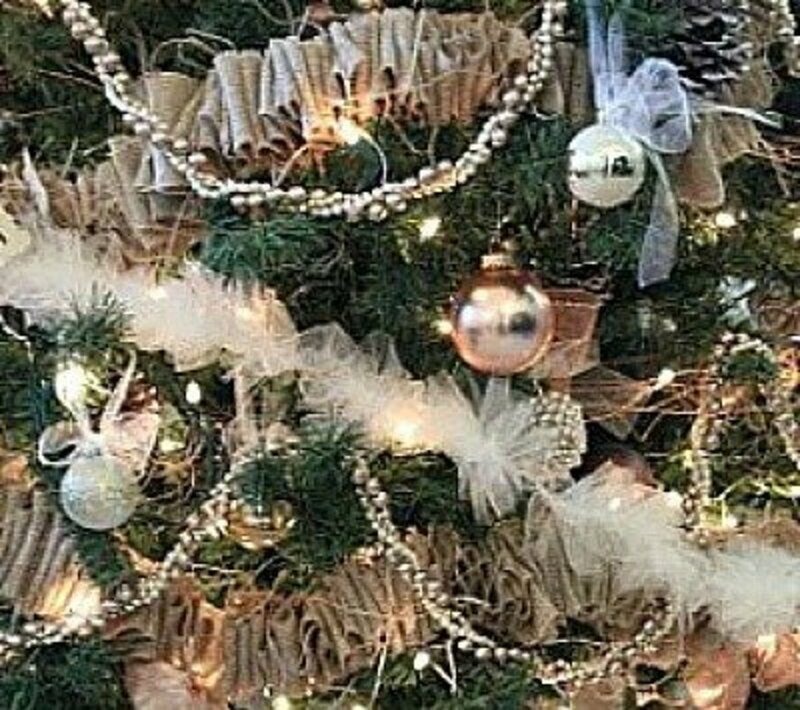 Make an inexpensive, but beautiful, Christmas tree to place on the patio or porch to give the outside of your home a Christmas look. 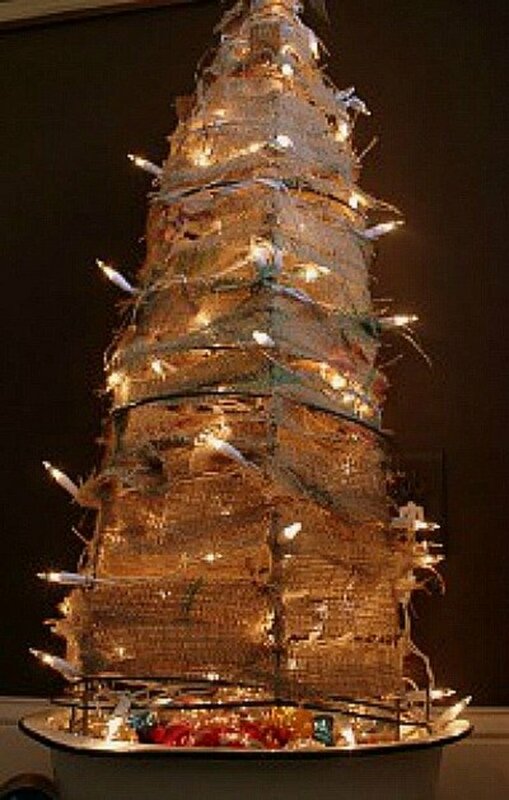 The instructions given at Beyond The Picket Fence will help you make this tomato cage Christmas tree. 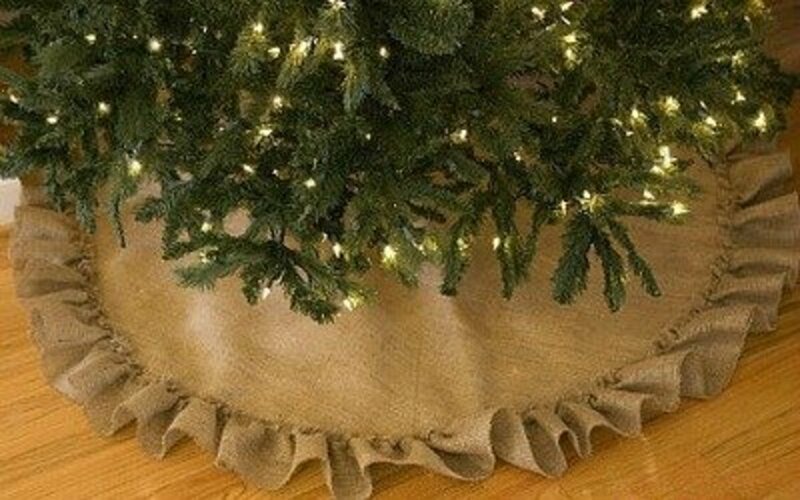 I love this beautiful burlap tree skirt. Uncommon Designs has a great tutorial for making a tree skirt like this one. Make one for yourself and one to give as a gift. 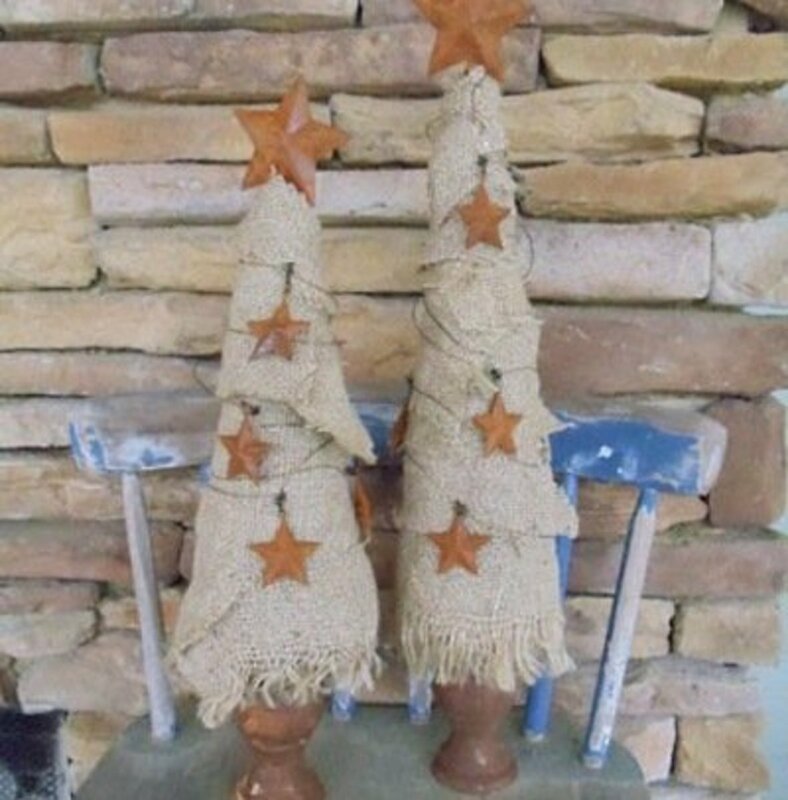 This burlap Christmas tree, decorated with rusty tin stars, has instructions at Artsy Va Va. 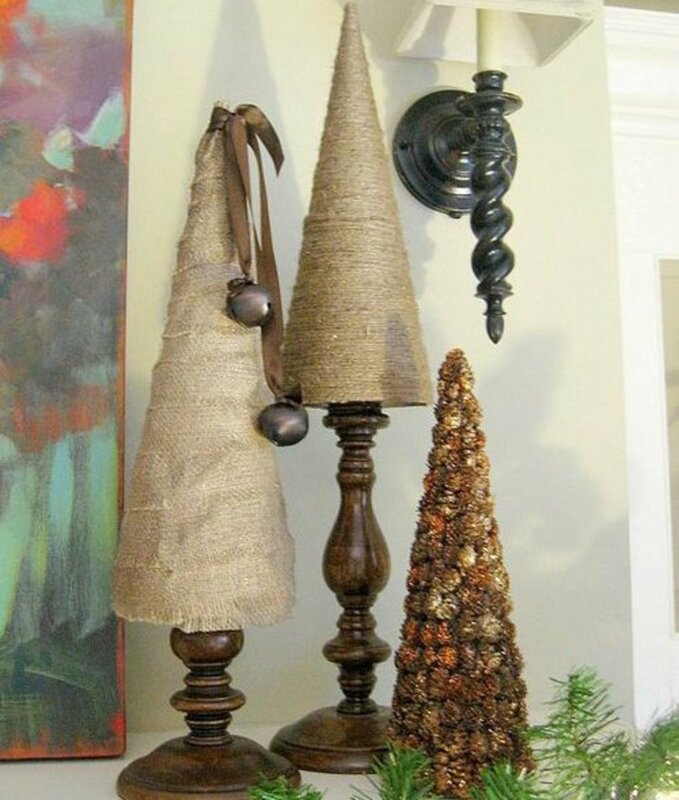 Imagine these burlap trees on your mantle or a shelf in your home. Check out the instructions for this beautiful burlap and tulle garland at Do It Yourself Divas. 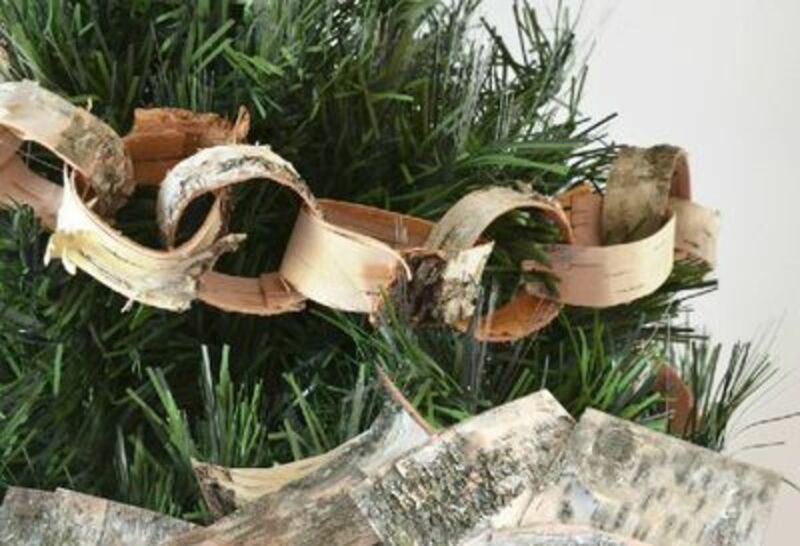 This garland is the perfect backdrop for all your rustic Christmas tree ornaments. You'll find the instructions for making this wired snowman garland at Mixed Kreations. Naturally, one of the most important and useful decorations that you'll want to include in your rustic Christmas, is the stockings. You'll want one for each family member, so find the directions at Just Crafty Enough and get busy making the stockings. 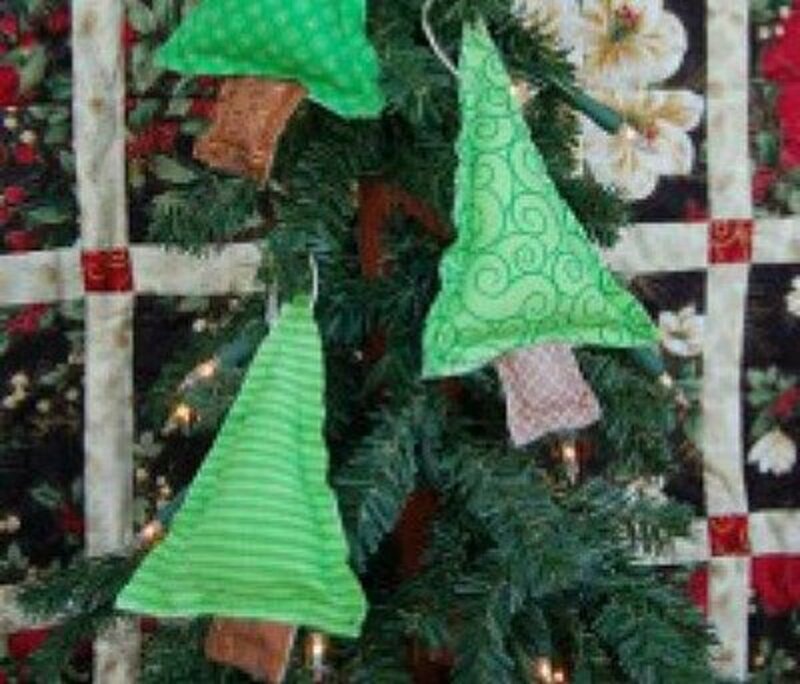 Make your rustic burlap trees in any of the beautiful colored burlap fabric that is available. 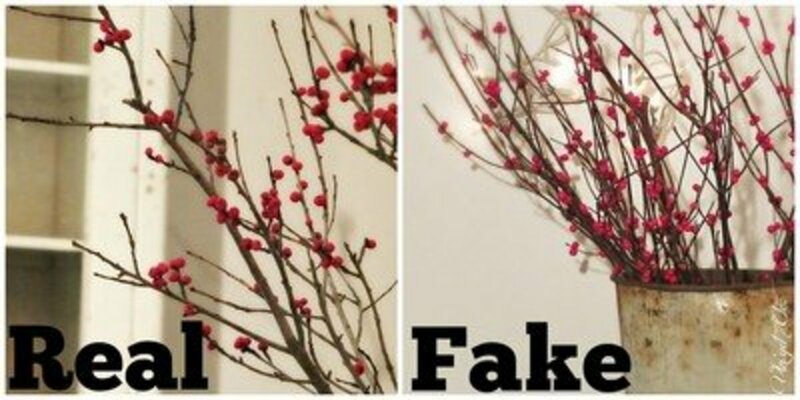 I can see these tree in a barn red color for my home. 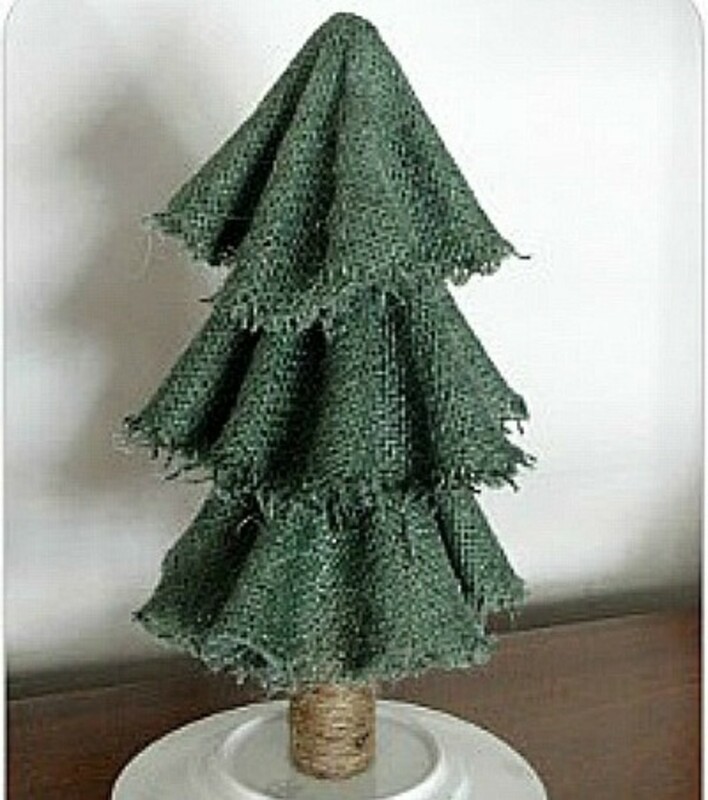 Go to A Little Bit Tispsy for all the information on making the burlap tree. 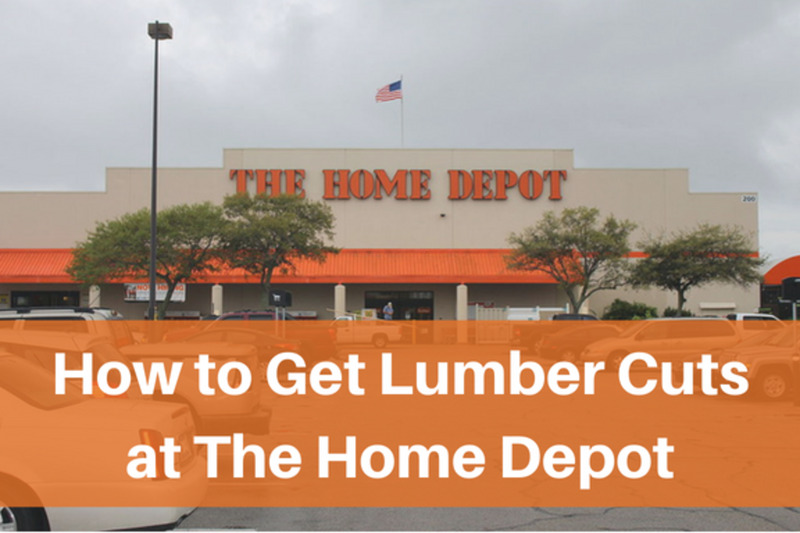 If you are in need of a large number of ornaments, this will be the perfect solution. 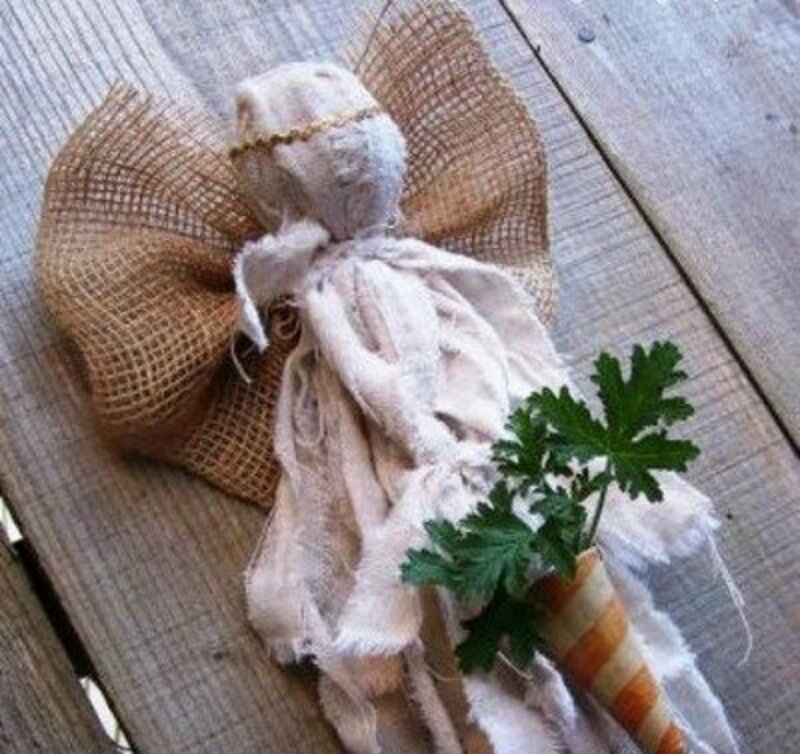 Use colored burlap instead of the felt to give your little angels a more rustic look. For the angel tutorial, go to Artmind. 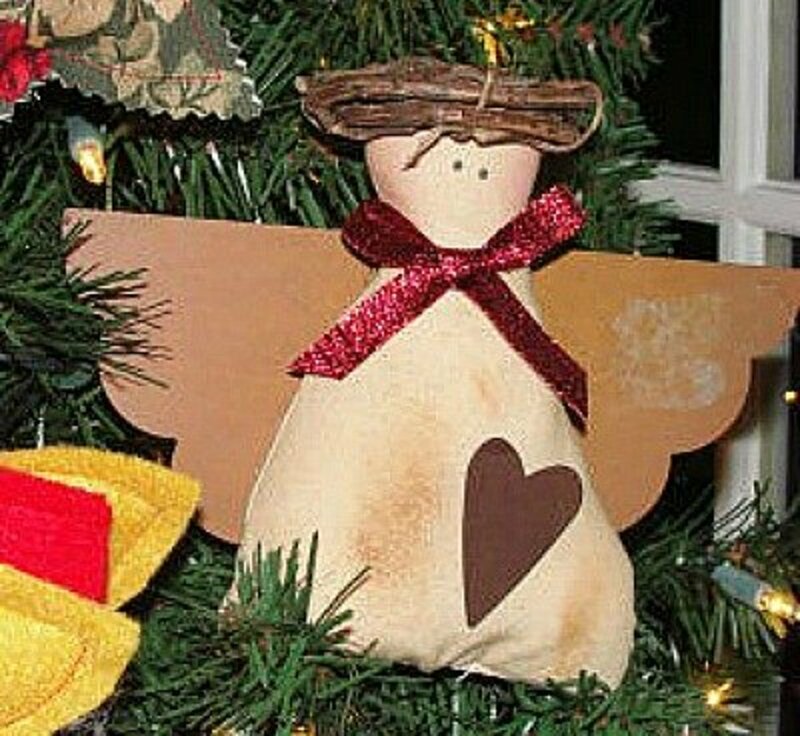 One of the folk art style Christmas angels with the tutorial at Love To Sew Studio. I love this cute little angels with its tea dyed body. I think I'd use rusty tin wings and heart to finish this cutie. You really get the down home feel when looking at this wall hanging made using tree branches for the frame. All the information that you'll need to make a wall hanging like this one can be found at AOK Corral. You'll want to make this snowman to greet your holiday visitors as they enter your front door. 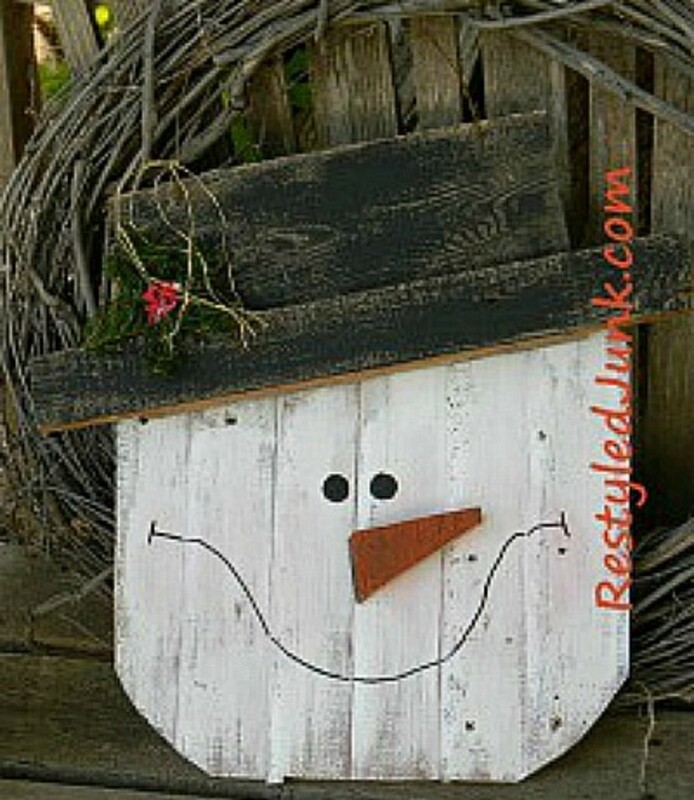 Find the tutorial for making this rustic wood snowman head at All Free Christmas Crafts. 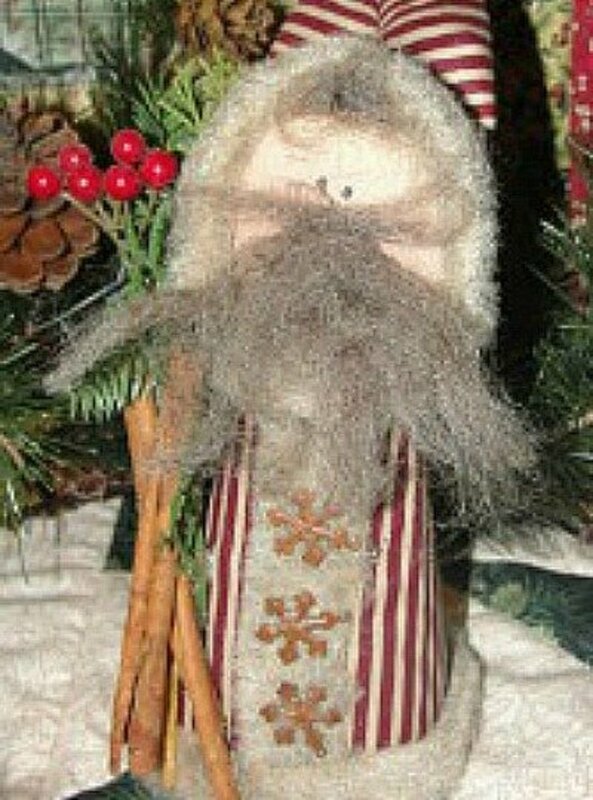 Make a country Santa like this one in no time flat by following the instructions at Craft Goodies. 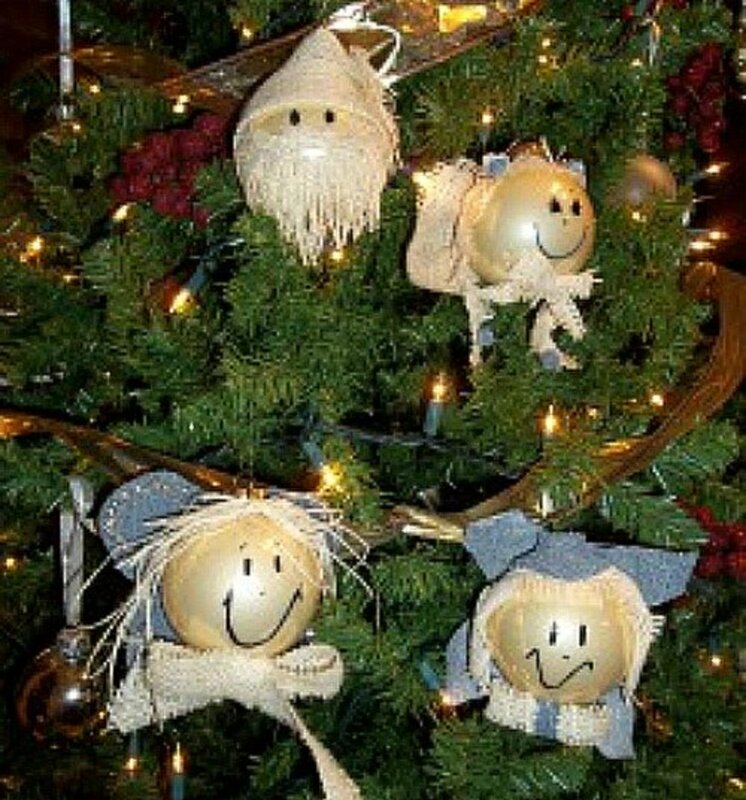 So very cute and an ornament that will really look great on your rustic Christmas tree. 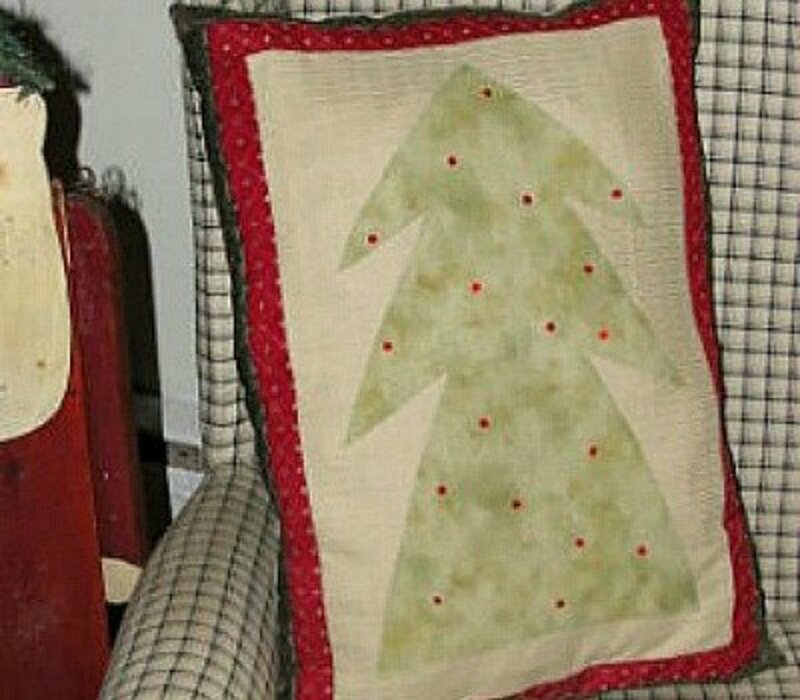 Love this easy and simple Christmas tree pillow. Make a few of these pillows for your guests to relax on while enjoying Christmas activities at your home. 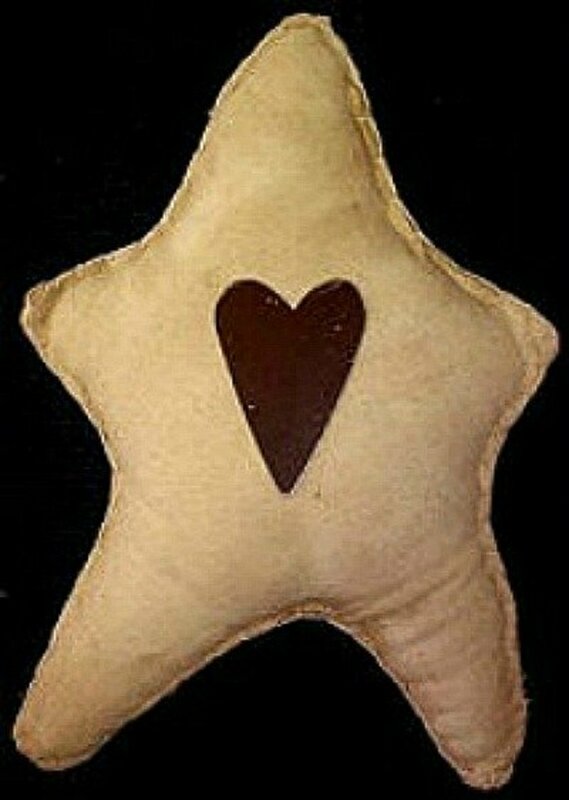 The directions for making this pillow can be found at Love To Sew Studio. To give these little snowmen a bit more of a rustic look, dry brush a bit of brown paint to the edges of the snowmen. 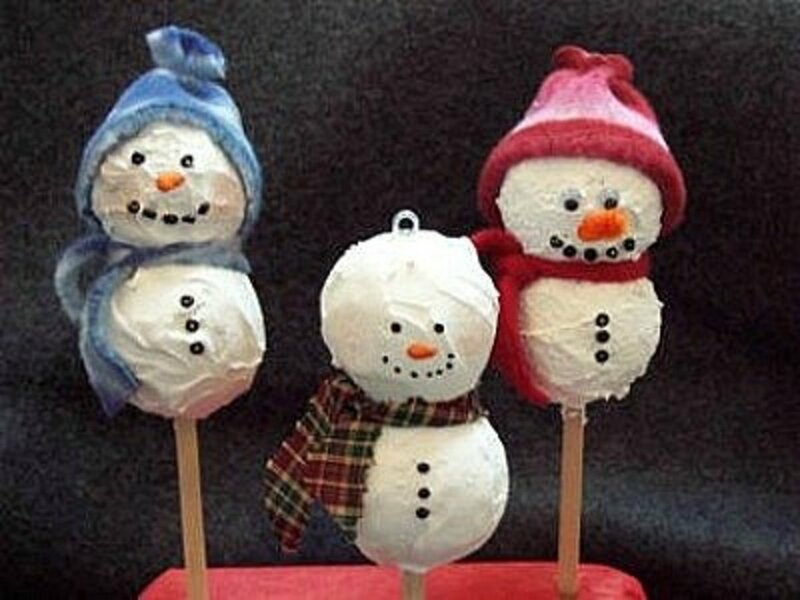 Find the instructions for making these styrofoam snowmen at CraftElf. Make and place larger rag balls in a basket or bowl with a couple of pine cones added. 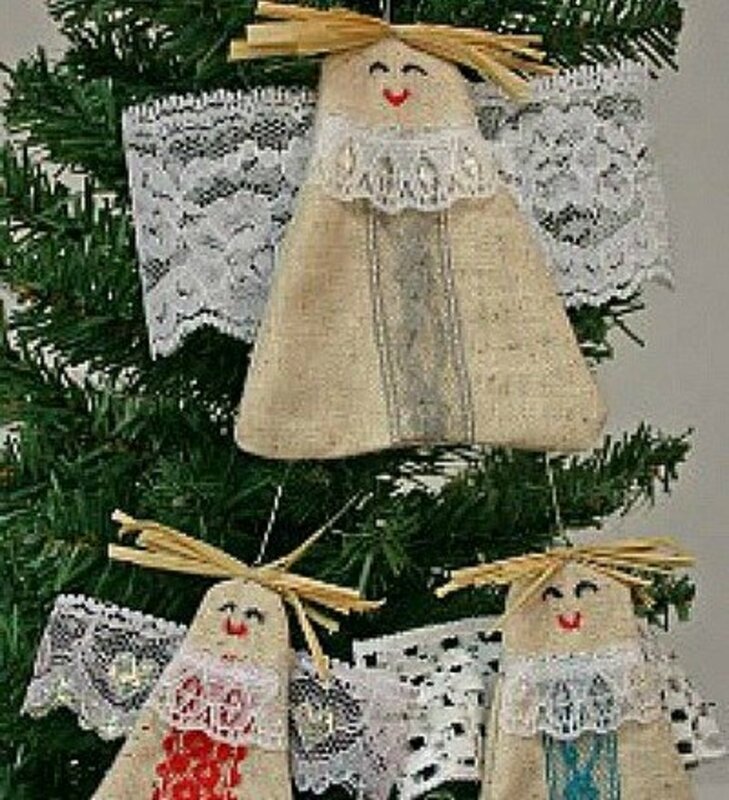 Or make smaller ones, add a jute string and hang on your Christmas tree. 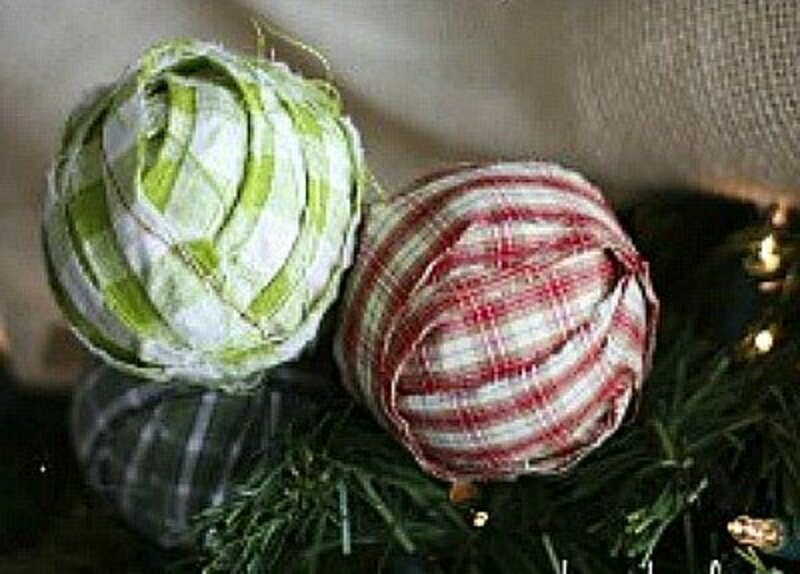 Find the tutorial for making these rag ball ornaments at Honey Bear Lane. 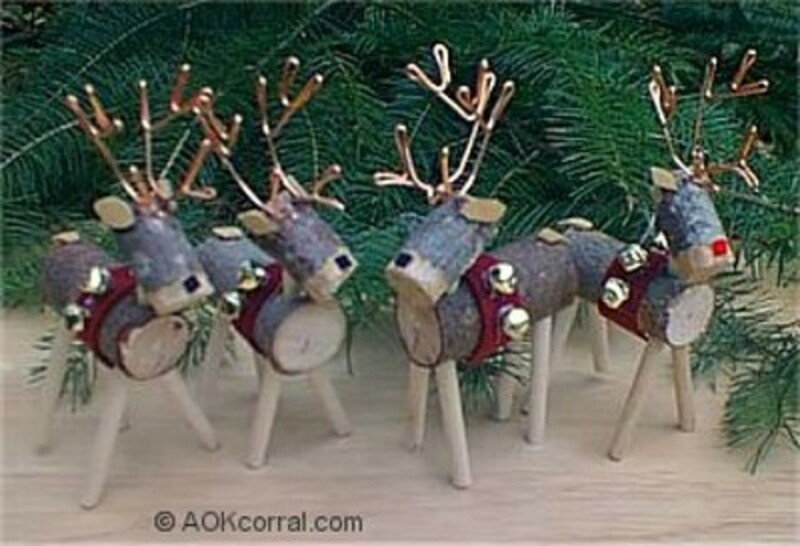 Make these reindeer even more rustic looking by using twigs for the antlers and legs. Add a jute string hanger to make small reindeer to hang on your rustic Christmas tree. 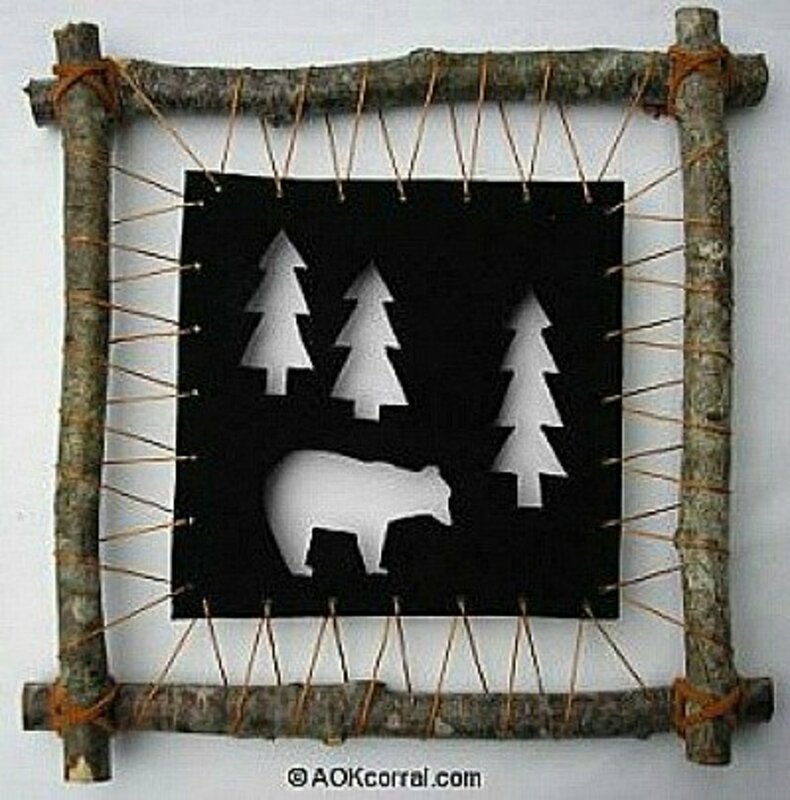 The tutorial for this craft is found at AOK Corral. You are in for a big surprise when you see how this Advent calendar is made. Make sure you go to Honey Bear Lane to find out how this Advent calendar is made and the tutorial for making one like it. 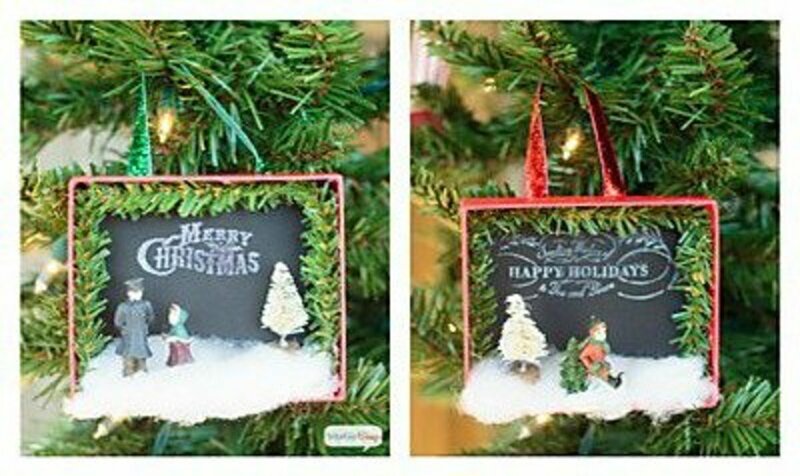 Use the instructions at Chicken Scratch to make Christmas tree ornaments like these. To make them more rustic looking, consider making them using tea dyed muslin and decorate with small buttons. 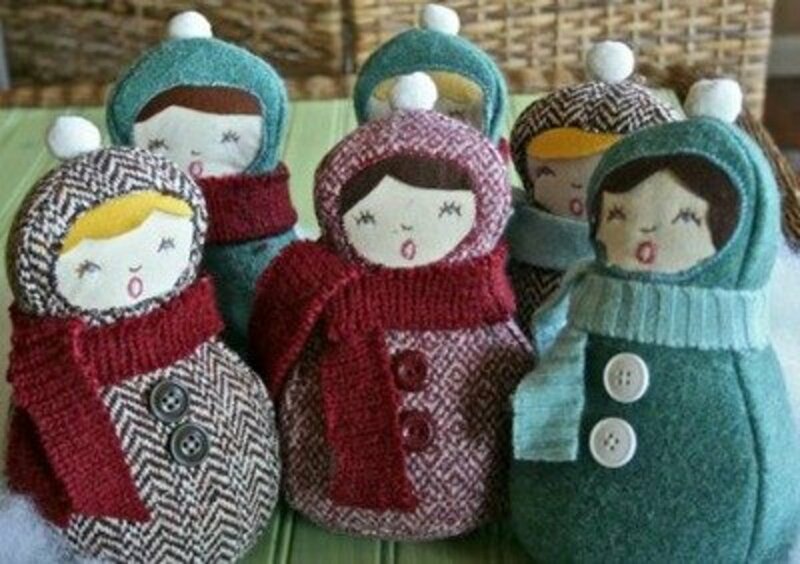 When you click on "Download Caroler" on the site Gingercake, you'll get a pdf of the pattern for these cute carolers. 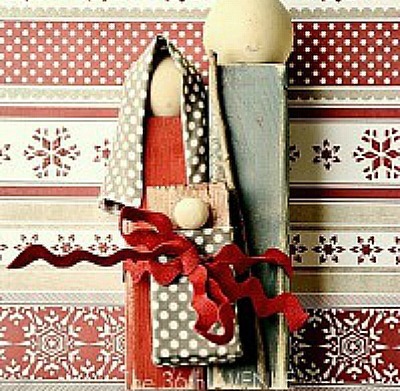 These carolers have a vintage look that will look so good with all your rustic Christmas items. 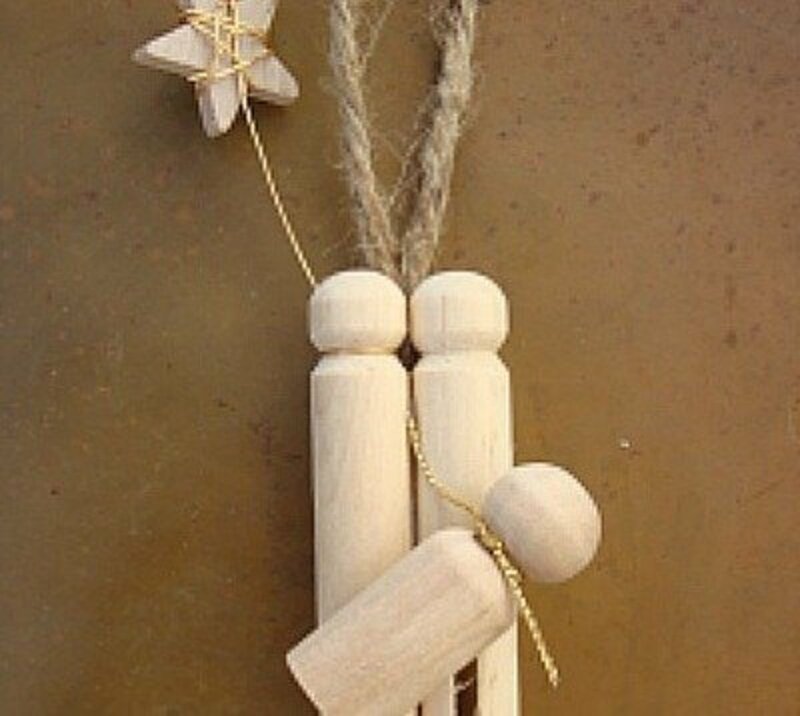 Try to age the pegs before making this Nativity ornament and then follow the directions at Shaken Together to finish this rustic wooden Nativity ornament. This would be a nice stocking filler gift also. I love the looks of this Nativity. Joseph is about 8" tall in this Nativity. The directions for making this handmade Nativity can be found at THE 36th Avenue. Consider making a larger Nativity by using longer pieces of wood and bigger wooden balls. 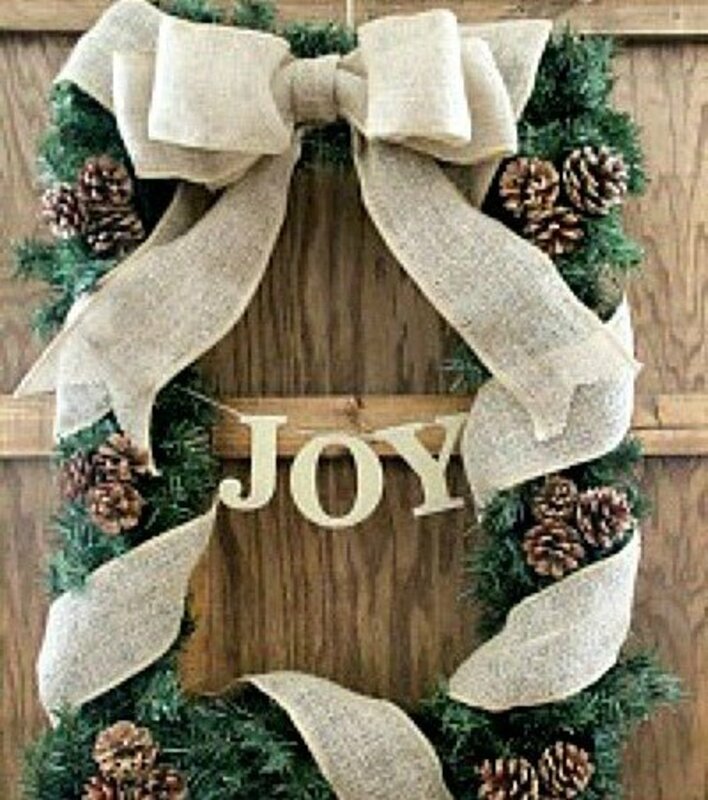 I can imagine this lighted burlap garland strung along the top of cabinets or the mantle, as well as on the tree. 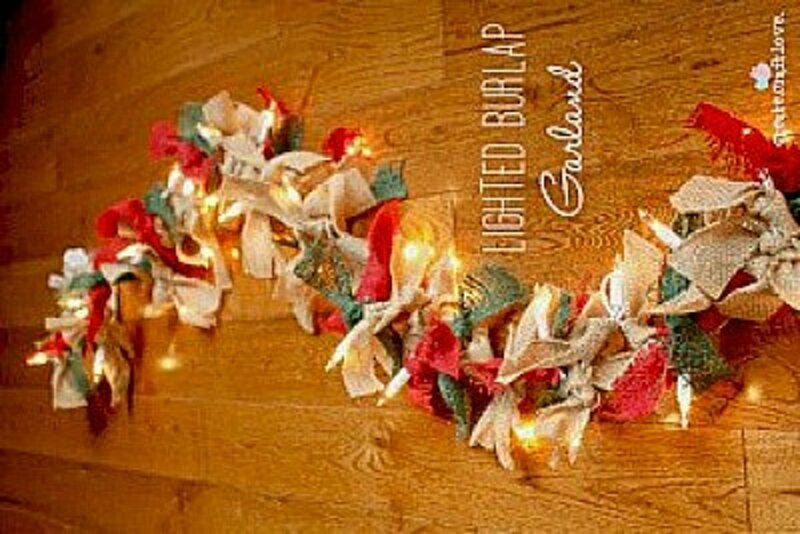 Find the tutorial for making this lighted burlap garland by going to the Create.Craft.Love site. A perfectly beautiful rectangular Christmas wreath that anyone would be proud to display. 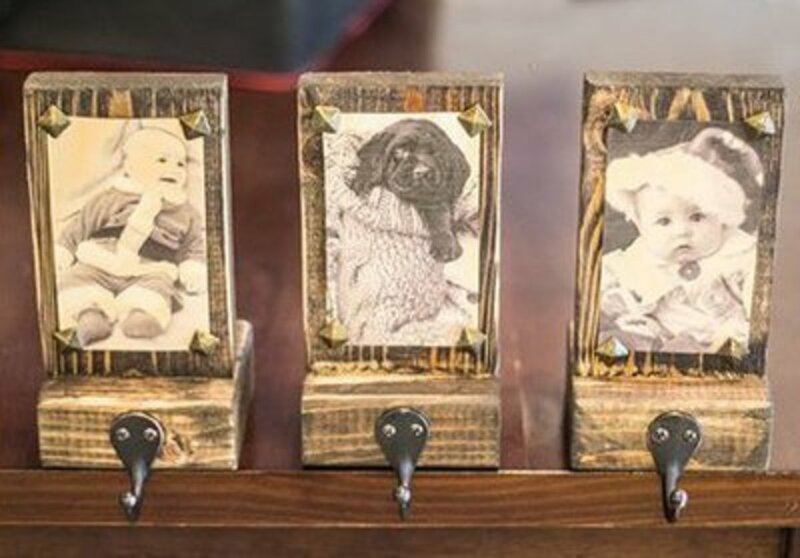 Make your own frame with the instructions given with this tutorial at Shannty 2 Chic, or purchase an inexpensive picture frame (or recycle an old one). Start early and make lots of these easy to make Santas to give to family members and friends. Follow the instructions and the patterns found at Gingermelon Dolls. Besides making beautiful ornaments, these little Santas would also make nice lapel pins. You'll love making and hanging these beautiful shadowbox ornaments on your tree. Find the instructions at Atta Girl Says. 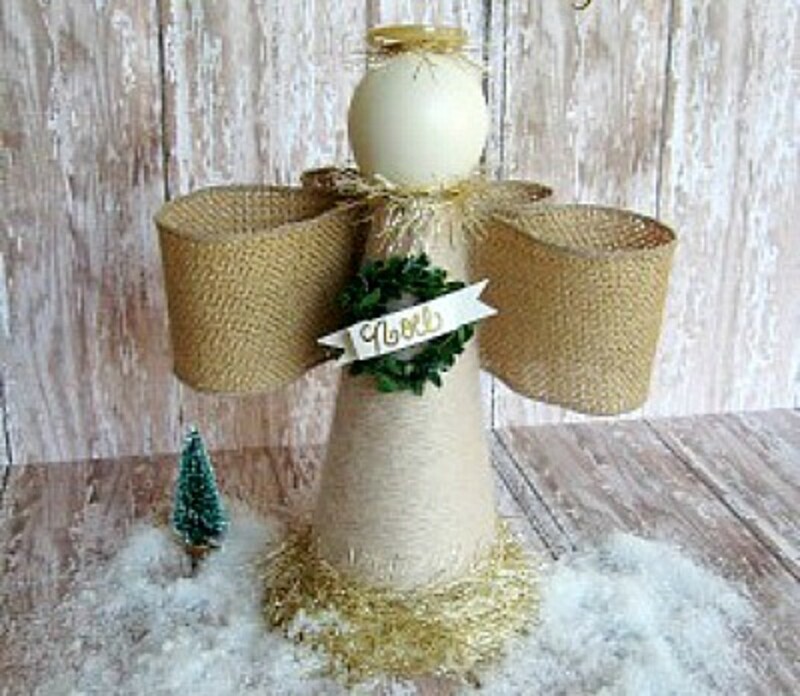 Although the instructions at Uncommon Designs use a Styrofoam cone to make this beautiful rustic angel, I love it so much that I think I'd want to make it as a tree top angel. I think this could be done by using the same instructions, but using a paper or plastic cone instead. Make a rustic Santa to treasure for years to come using wire coat hangers and a Styrofoam ball for the armature, paper mache and burlap. Find out how easy it is to make this rustic Santa by going to Make a Rustic Santa. You can make these super easy to make angels by following the tutorial that you'll find at Fun EZ Crafts. 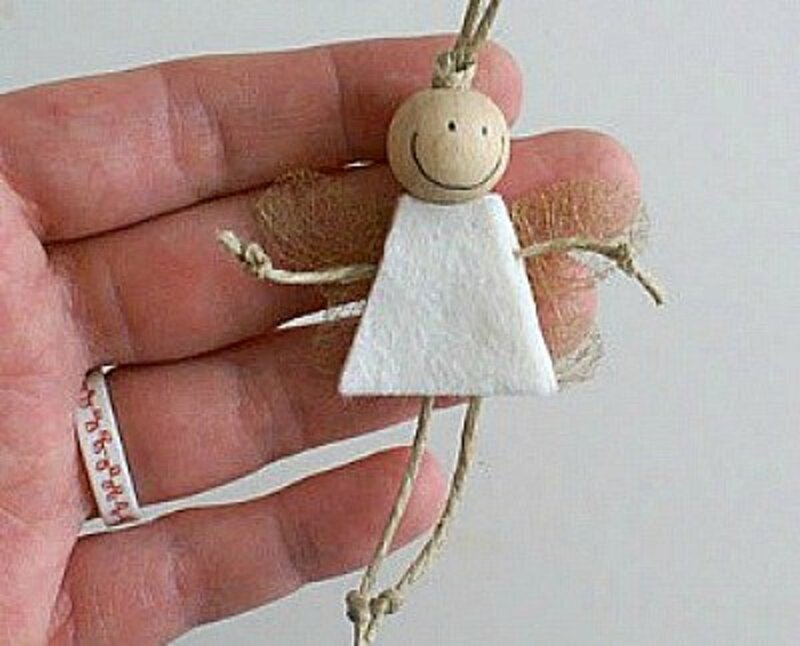 A very simple angel that can be decorated in so many ways. Consider adding buttons or tin stars. The tutorial for this exceptionally beautiful rustic tree can be found at Scrapbook and Cards Today. Just a little more work involved in this craft, but well worth the effort. 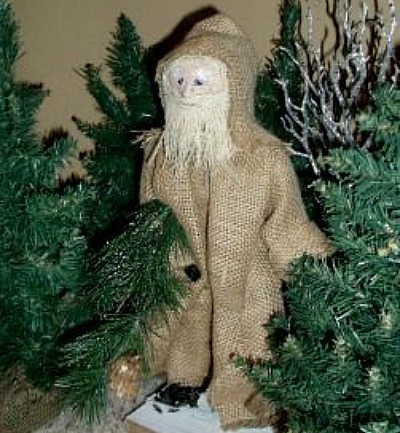 This USA Father Christmas is made in the same way as the Russian Santa, so you know it is simple and easy to make. 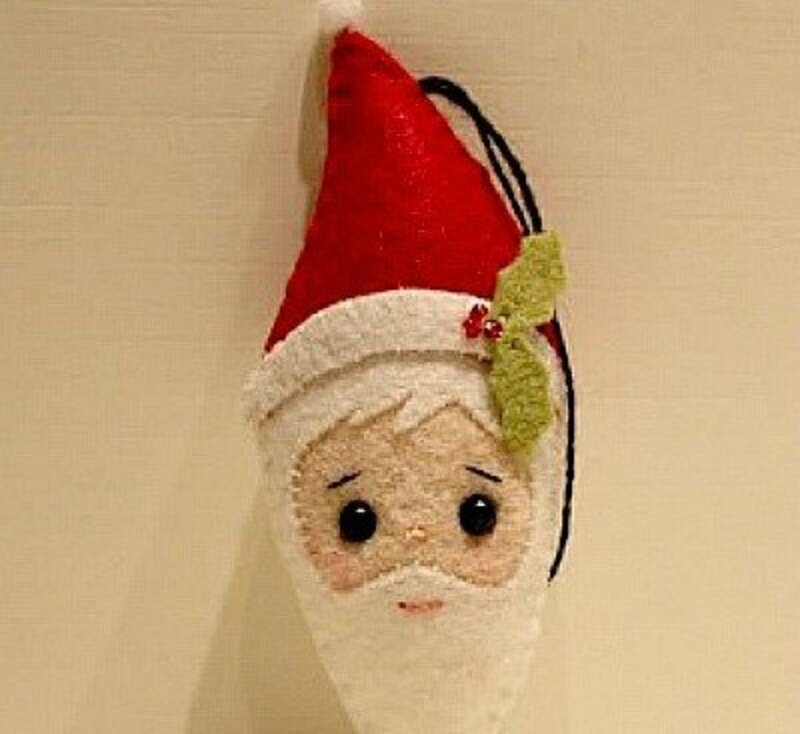 Find the directions for this Father Christmas, Santa, at Love To Sew Studio. 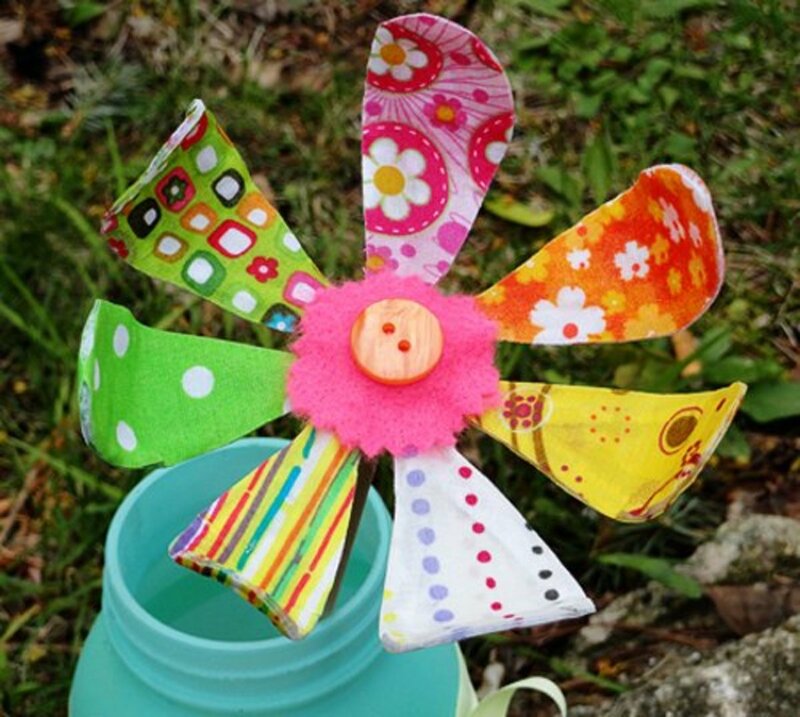 The simplicity of this craft makes it one that you can make many of, to give as gifts. Although the La Lo Le Blog is written in a foreign language, the pictures on the site are easy to understand. Or, if you want, you can Google "translate" the instructions. Beautiful!! What more can I say. 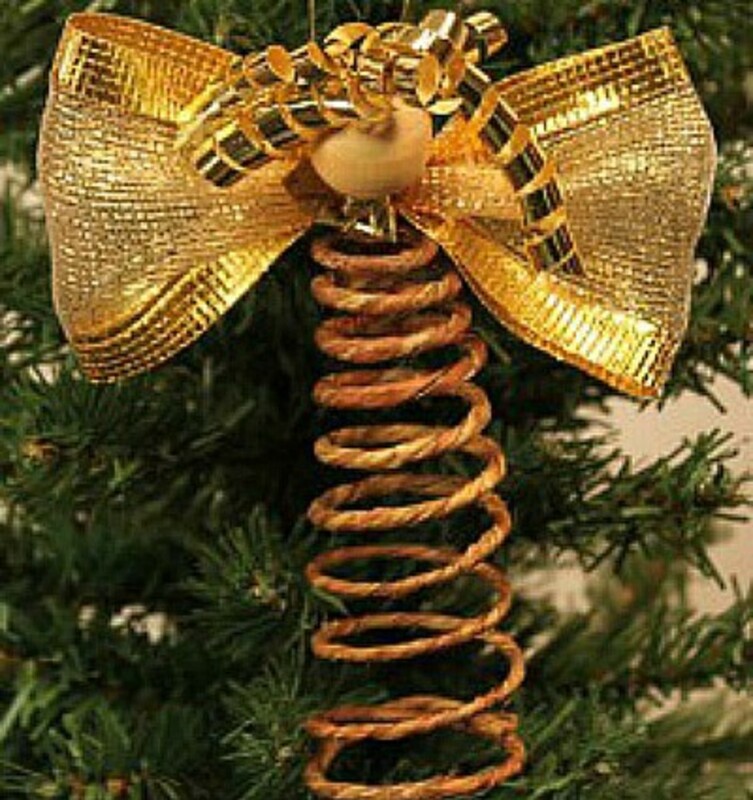 Be sure to visit the Fun EZ Crafts site for the tutorial to make this spiral wire angel. I absolutely love the looks of this angel. Outstanding! And here is the third of the three Father Christmas' that I think are so unique and beautiful. So easy to make that you'll want to make all three, and if you haven't started a Santa collection yet, this may be the start of something big! Go to Love To Sew Studio for the easy instructions. 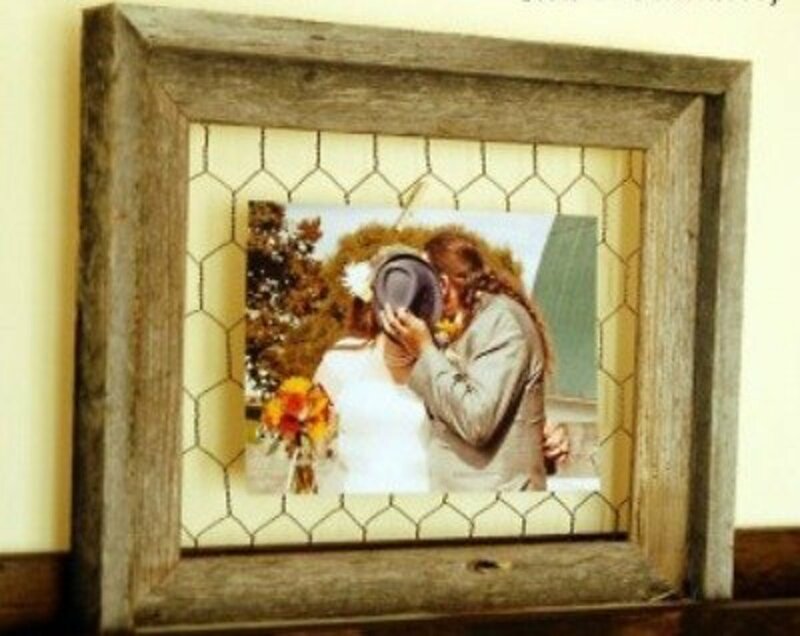 A chicken wire photo frame has so many possible uses for Christmas, as well as any other time of year. Think of all the possibilities and got to Chicken Scratch for this tutorial. Muslin and burlap are two of the ingredients of many rustic and shabby chic crafts. 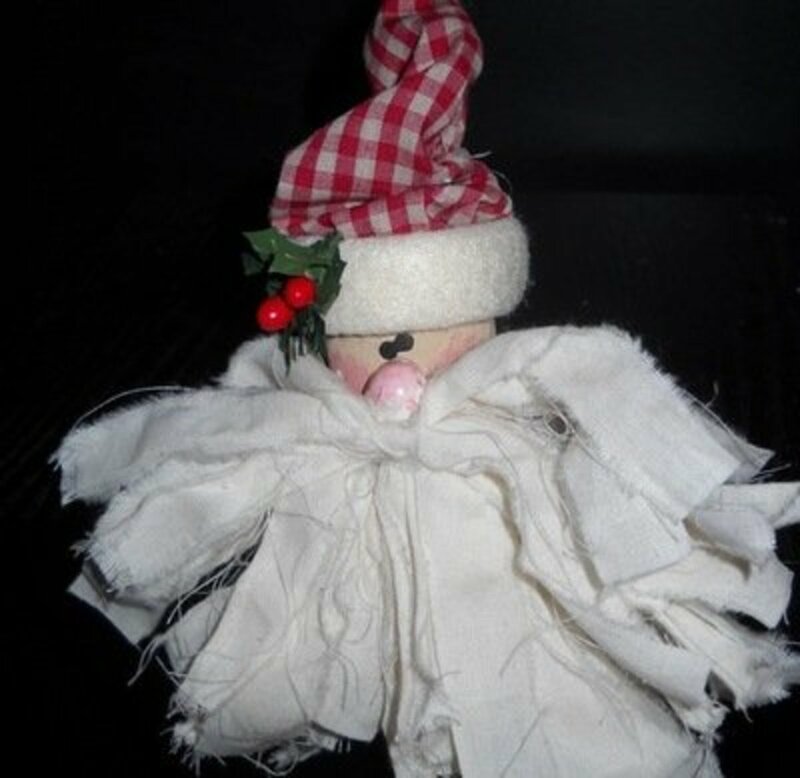 This little muslin angel will be a perfect addition to your rustic Christmas ornaments. Go to 504 Main for the instructions for making this angel. 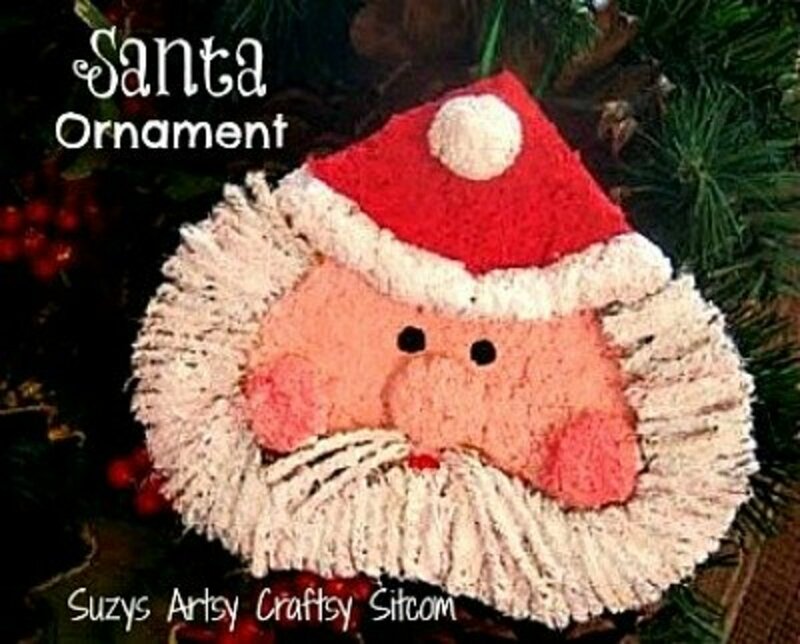 This project is a paper mache santa ornament, with the foam board. You'll find the complete tutorial at Suzy's Sitcom. A really nice ornament to make for party favors or ornament exchanges. I have to admit that this is one of my favorite vintage ornaments. I love the huge nose on this snowman. 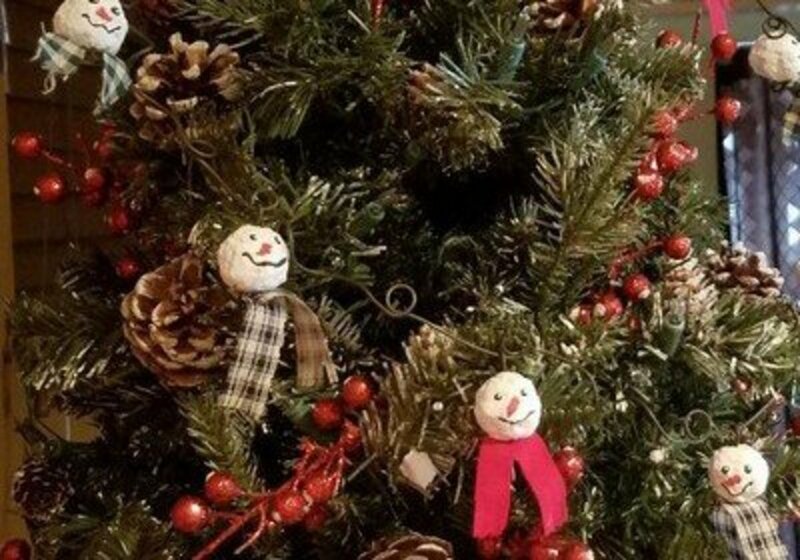 You can make a vintage snowman ornament by following the instructions given at Crafts By Amanda. Whether you make grubby prim stars like this and hang them on your tree, or if you group them in a basket or tin, you'll have an outstanding Christmas arrangement. 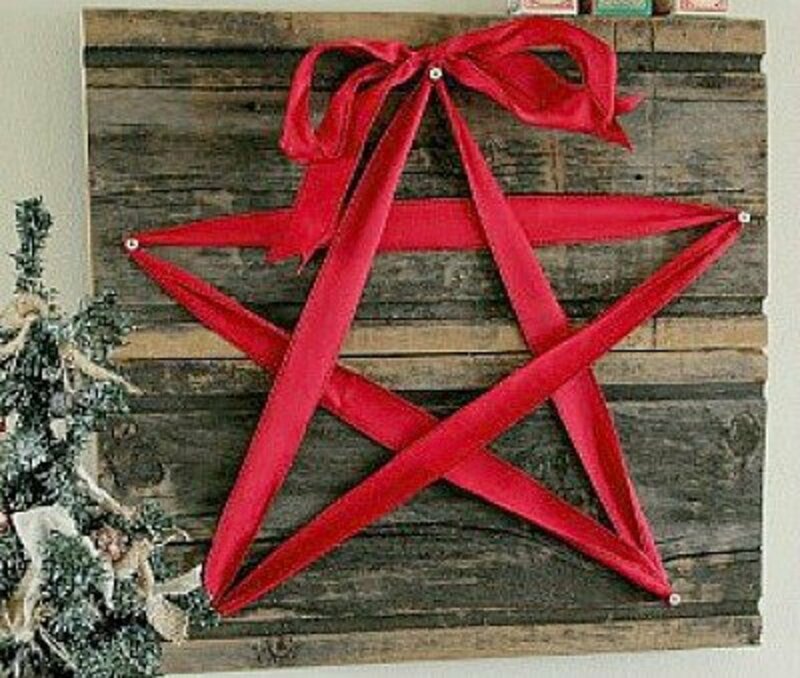 The tutorial for making this rustic star can be found at Craft and Fabric links. Remember, making an item look more rustic or vintage, can usually be achieved by adding a wash of umber, or tea dying the fabric. 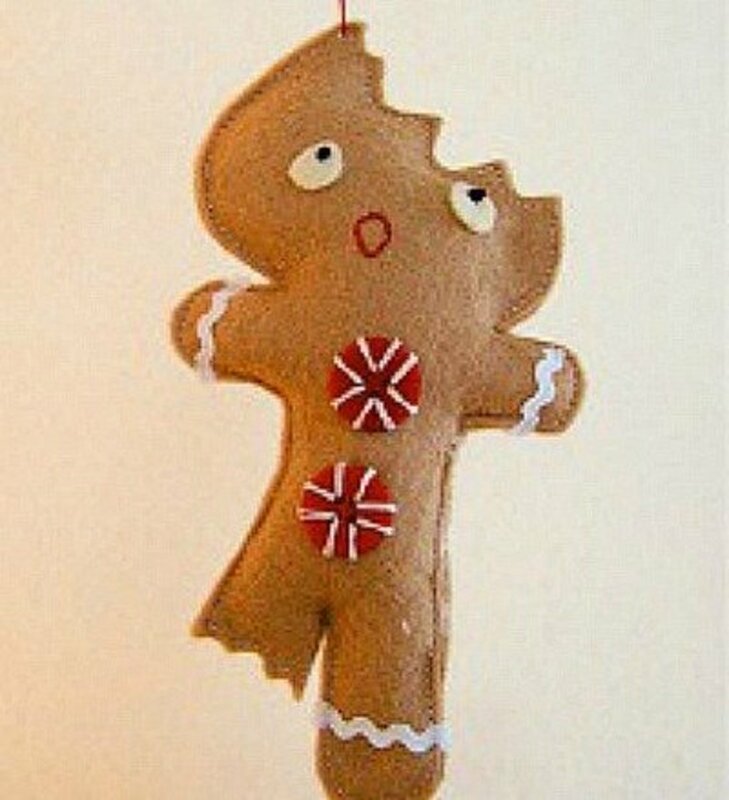 The instructions for making these gingerbread ornaments is found at Elsie Marley. These skate ornaments are one of the easiest and quickest that you can make. 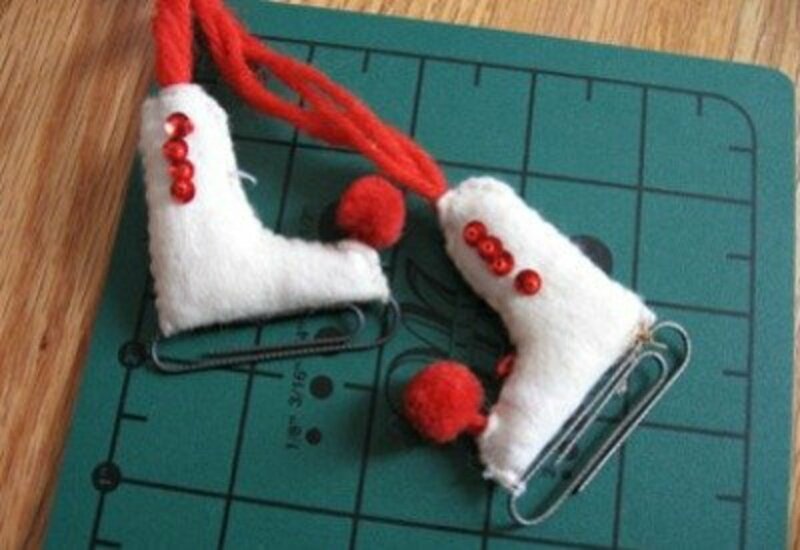 This adorable ice skate ornament tutorial is found at Not Quite Vintage. 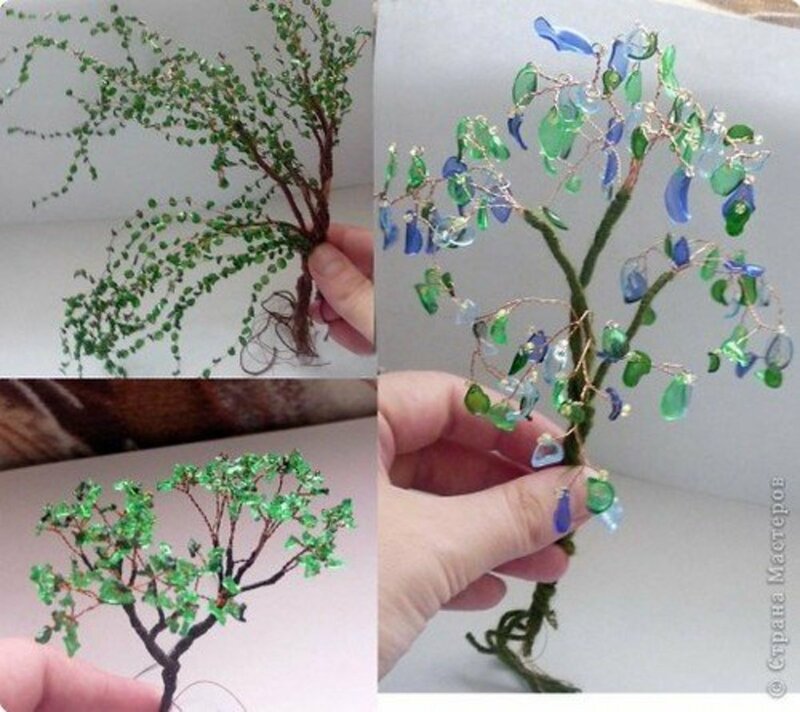 The tutorial for making twig and wire ornaments is found at U-Create Crafts. 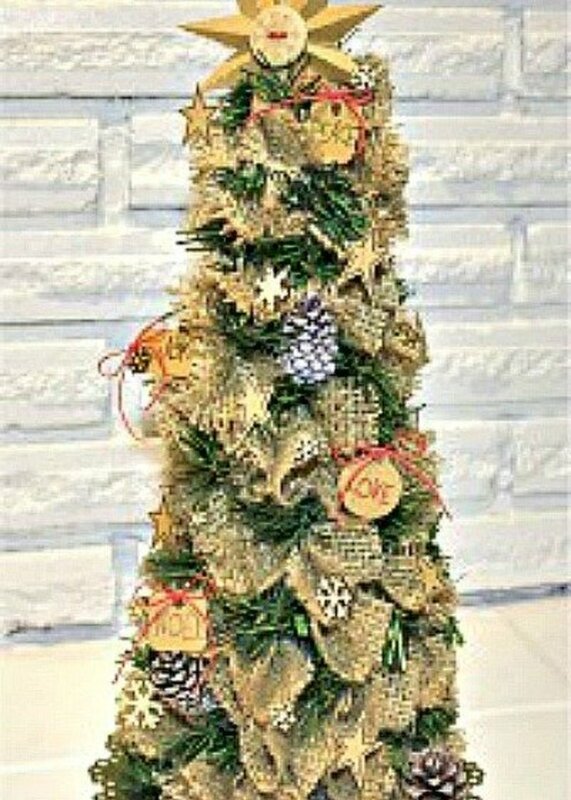 For a rustic, nature-looking table top tree, made using crushed dried leaves, go to Crafts U Print for the instructions. 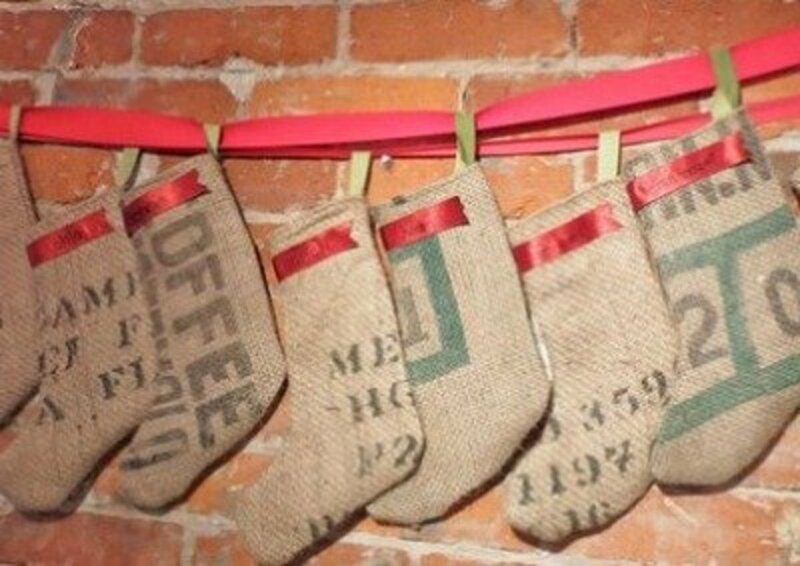 I really like this stocking hanger idea. A nice family keepsake. Christmas memories for the future. Go to DIY Ready for the tutorial to make the hangers. 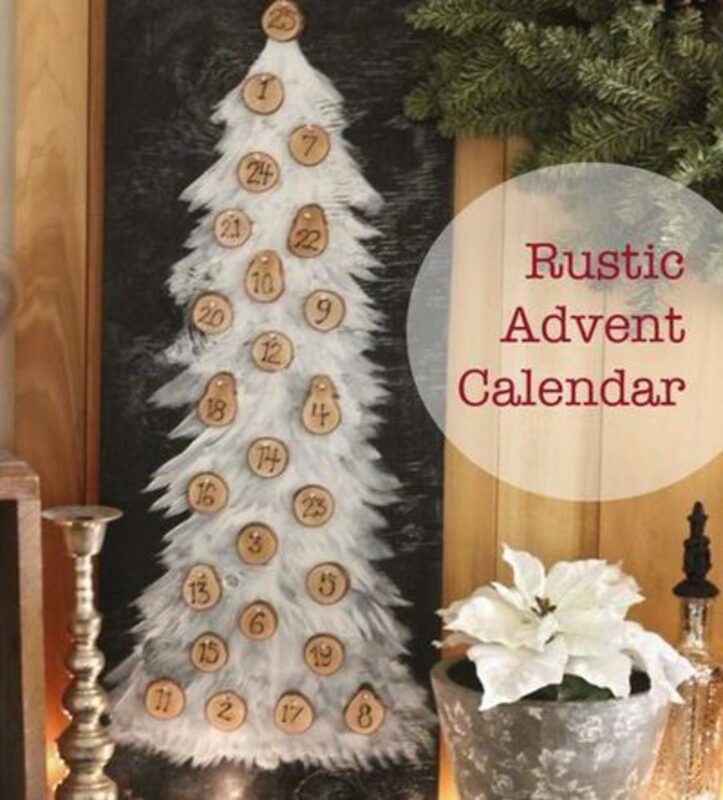 I wish I had seen this Advent calendar project when my children were young. To make one, go to The DIY Dreamer where you will find the instructions. Granted this is not a quick and easy project, but how satisfactory making this beautiful tree top angel would be. 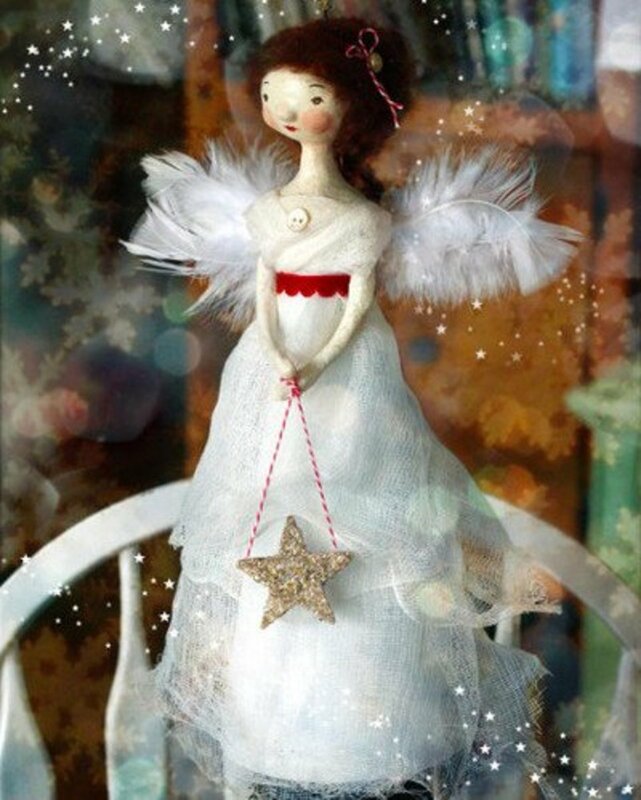 Find the list of supplies and the tutorial for this angel at Think Crafts! Make your own berry branches by following the tutorial at Vin Yet Etc. 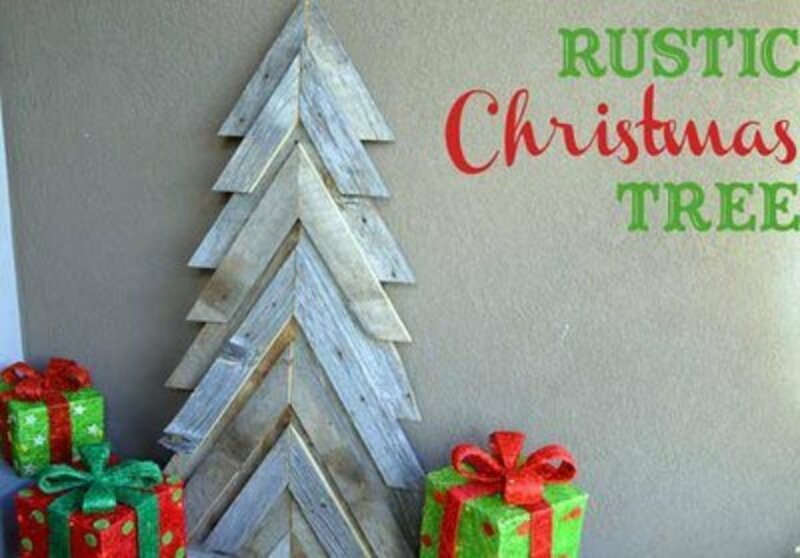 What is Your Favorite Rustic Style Christmas Decorations? - or leave a message. 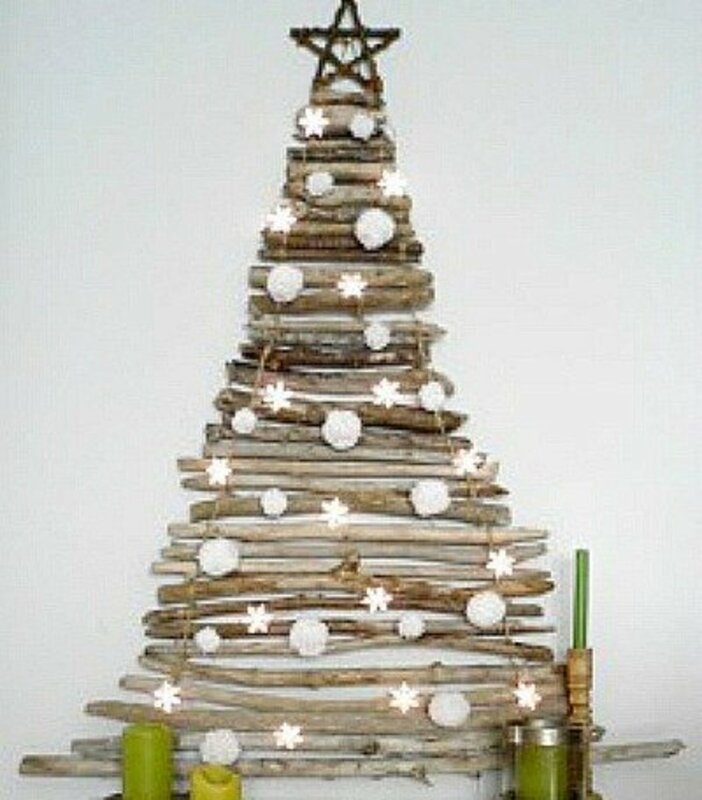 Love the rustic decor my entire house is western cowboy style with a touch of rustic a Christmas tree like this would amazing. Thank you. I'm with you, StephieJean, I too love the rustic Christmas décor. I love the burlap, muslin, rusty tin, jute and raffia look. I wish you a Merry Christmas, just a little bit early. Hope you have a great New HP New Year. 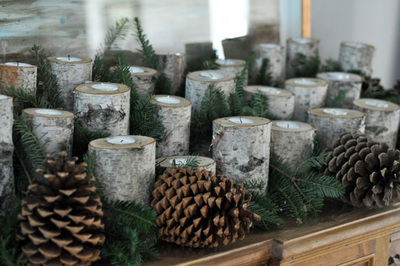 Love LOVE Love the rustic Christmas décor!